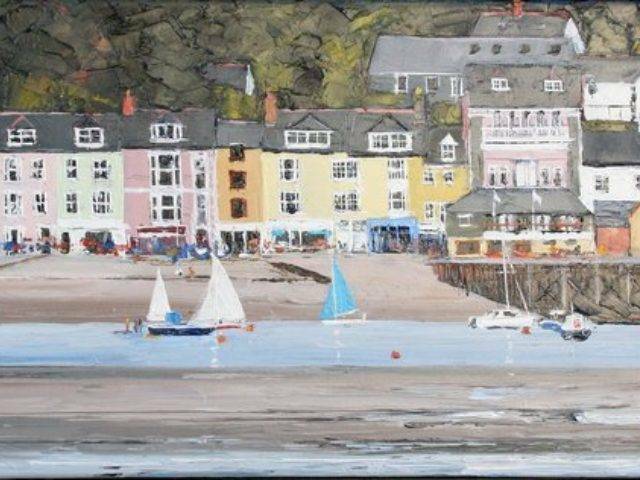 Aled Prichard-Jones was born and brought up in Bangor and worked in Pembrokeshire as a Chief Architect until retirement in 2000. 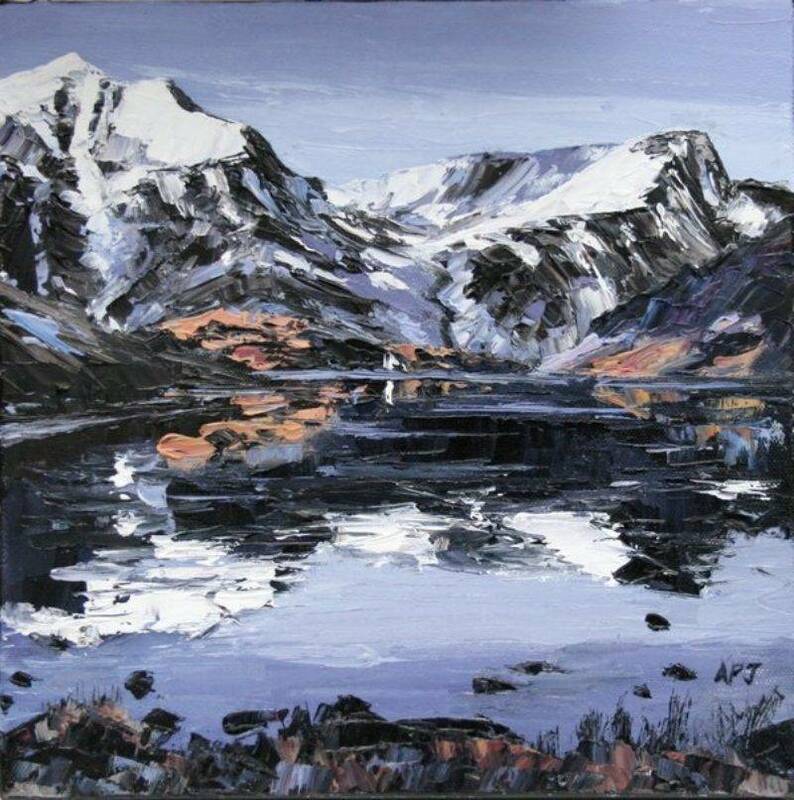 He then took up painting full time and is now an established artist working in both oils and pastel living back home in his native North Wales. 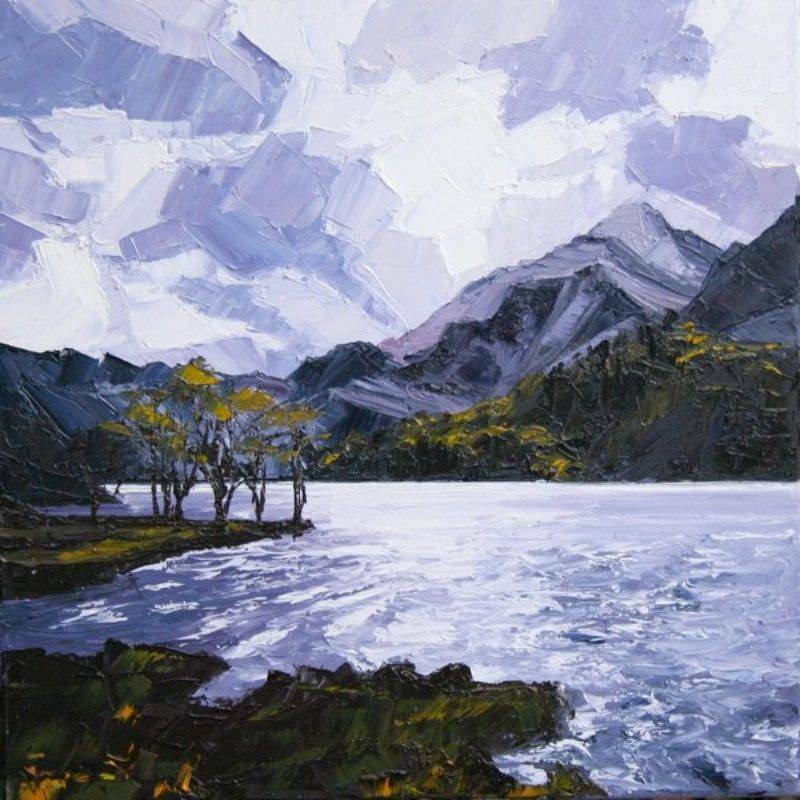 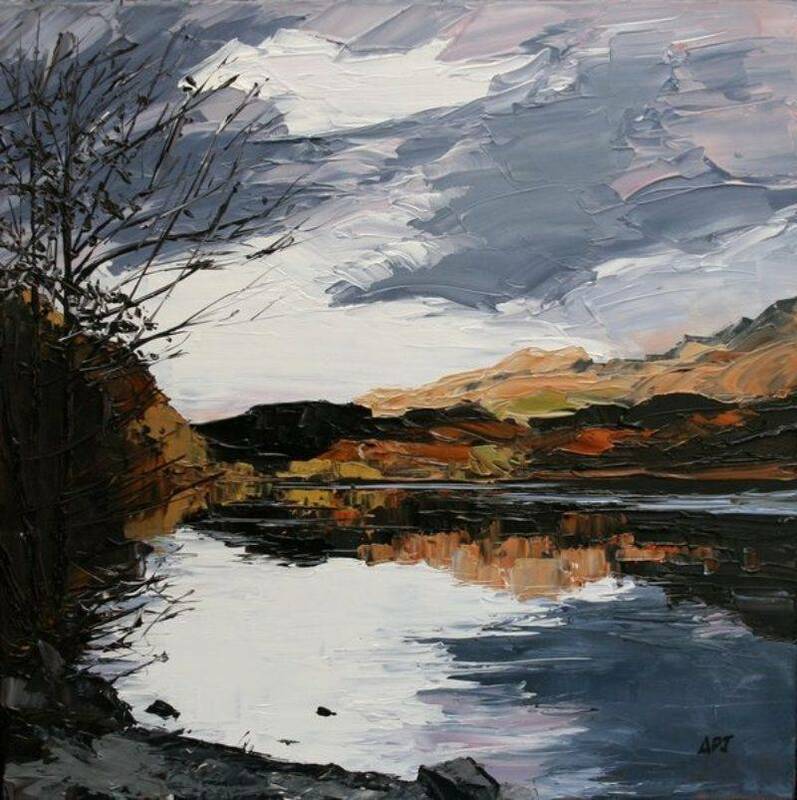 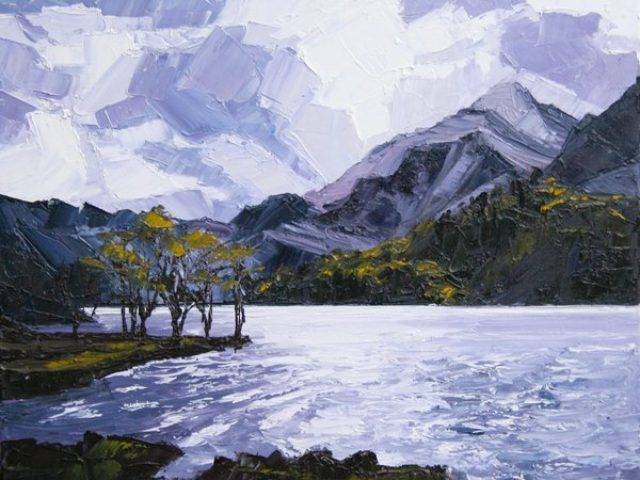 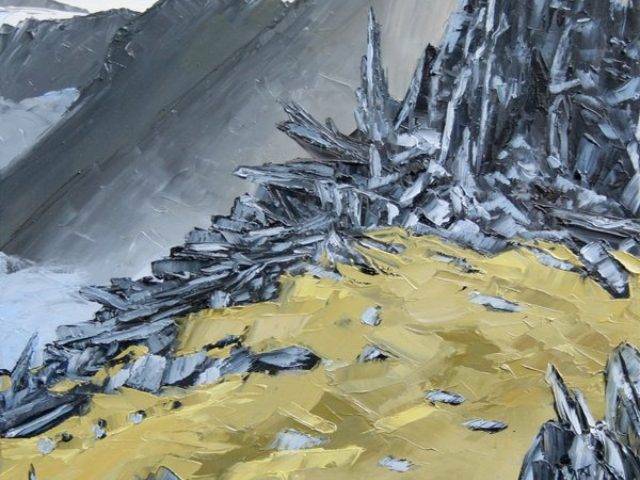 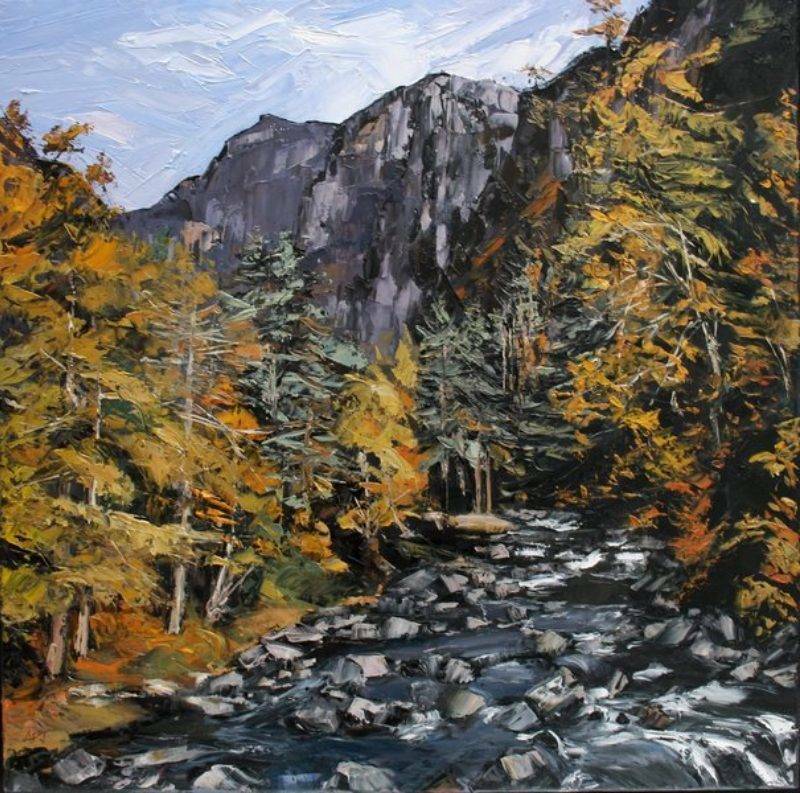 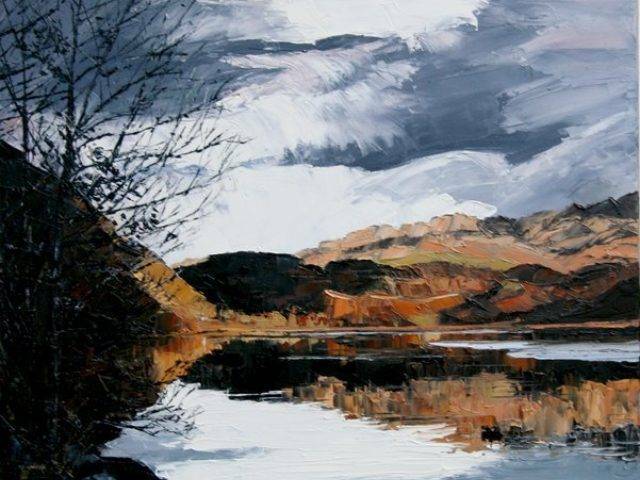 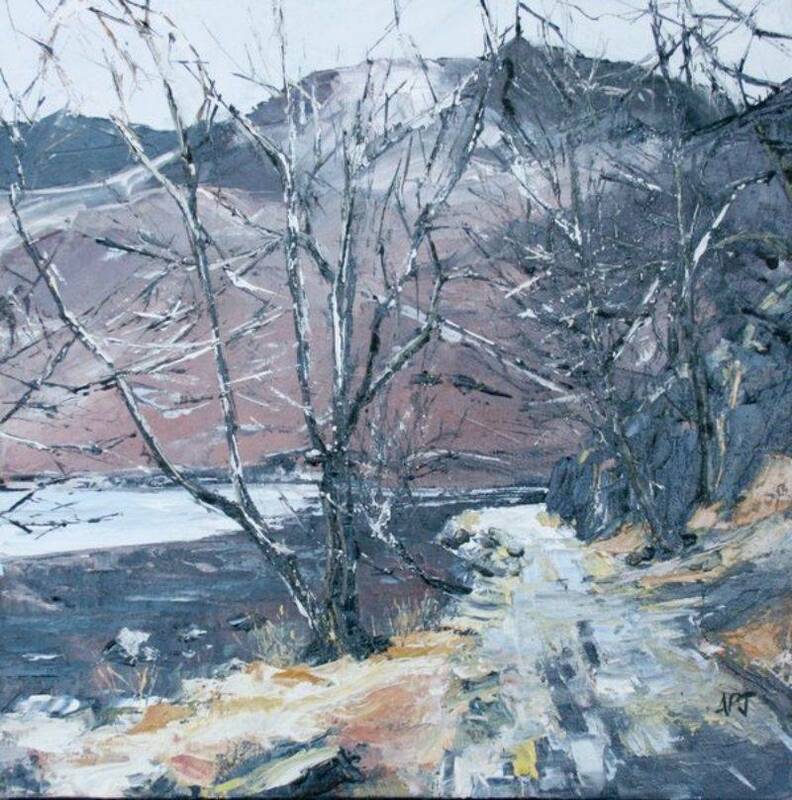 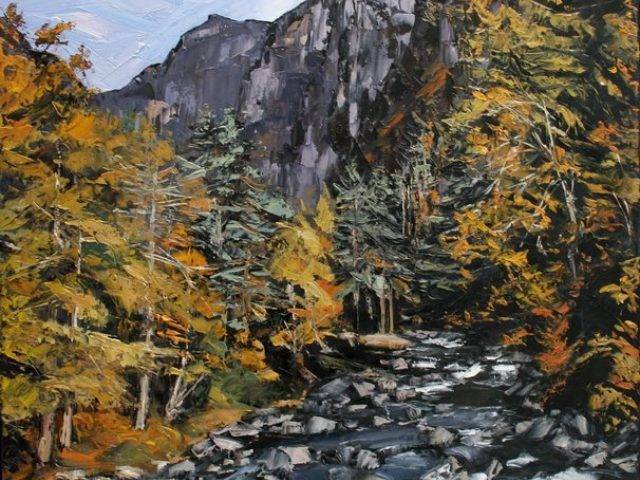 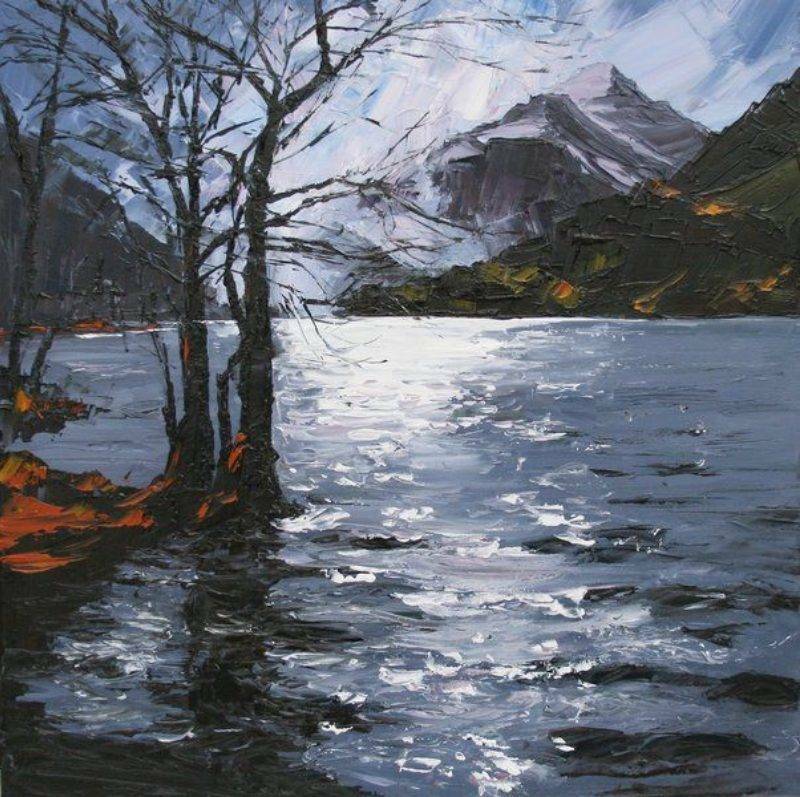 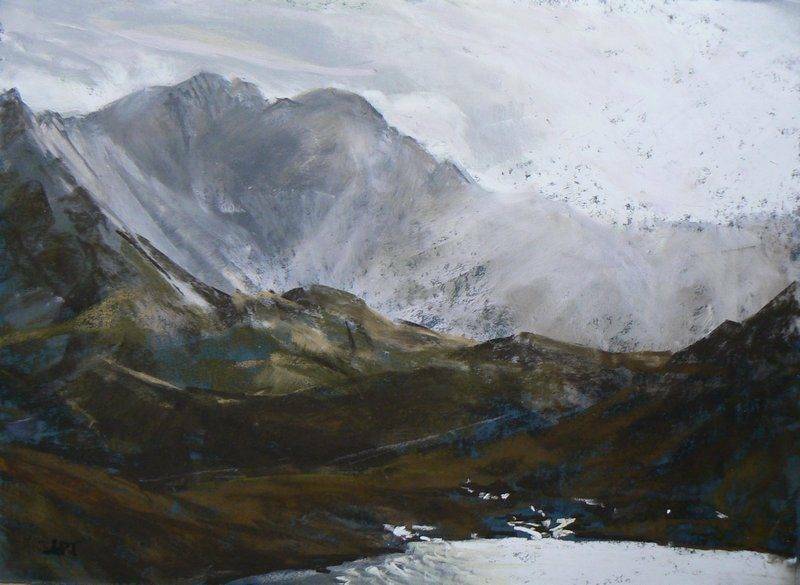 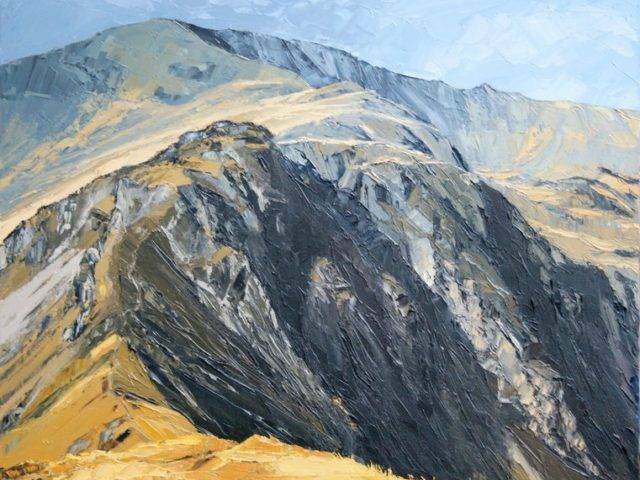 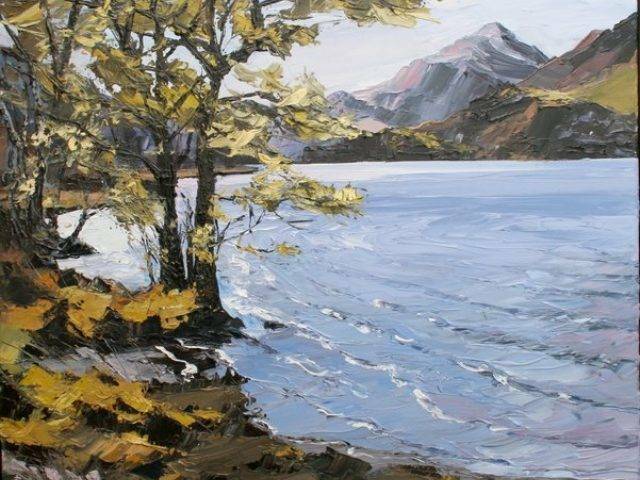 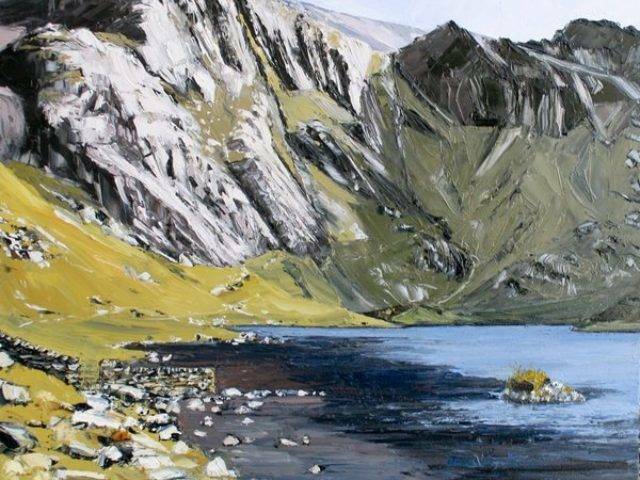 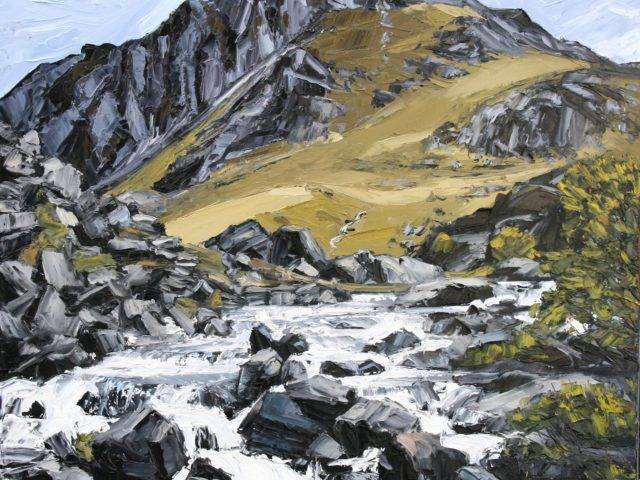 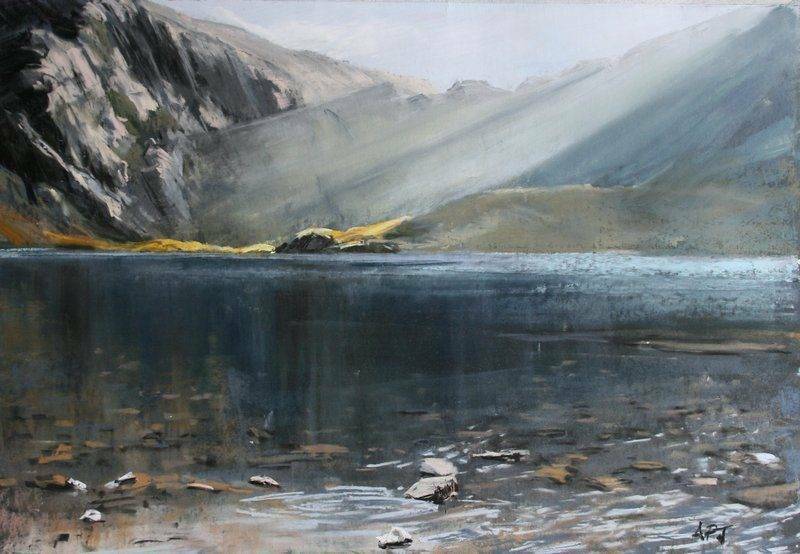 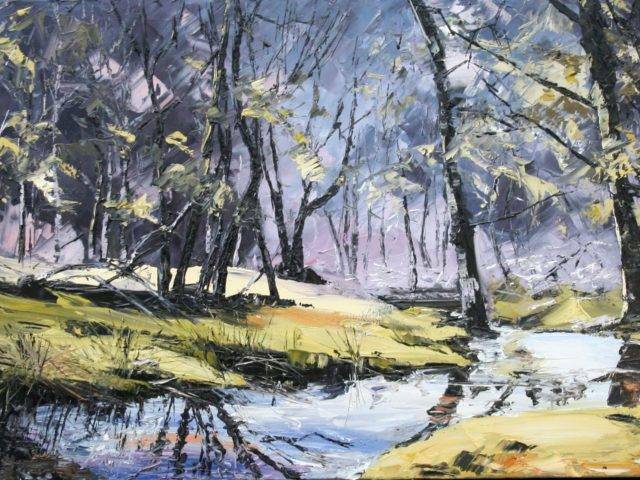 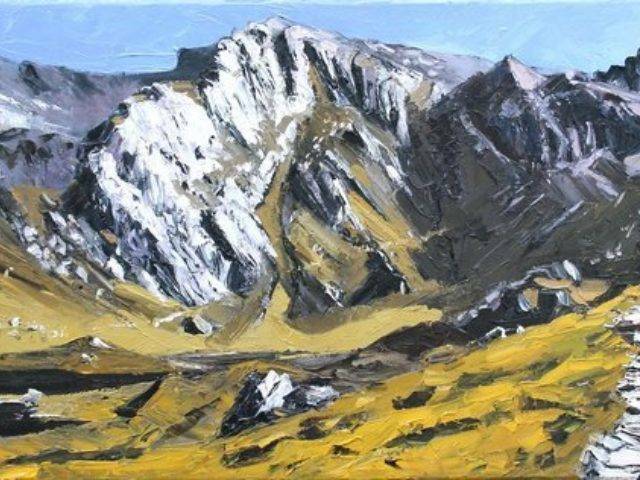 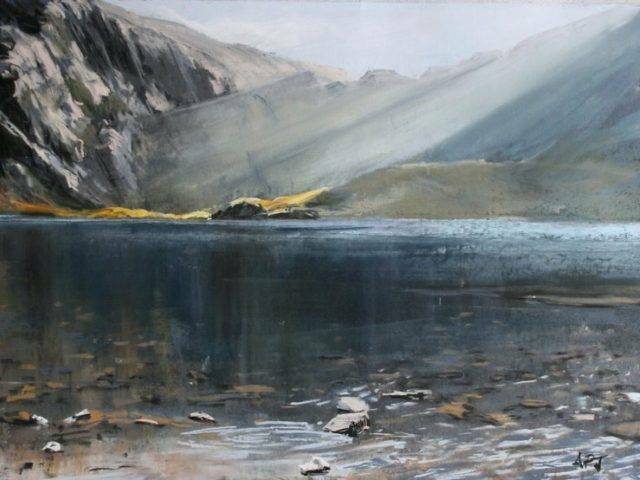 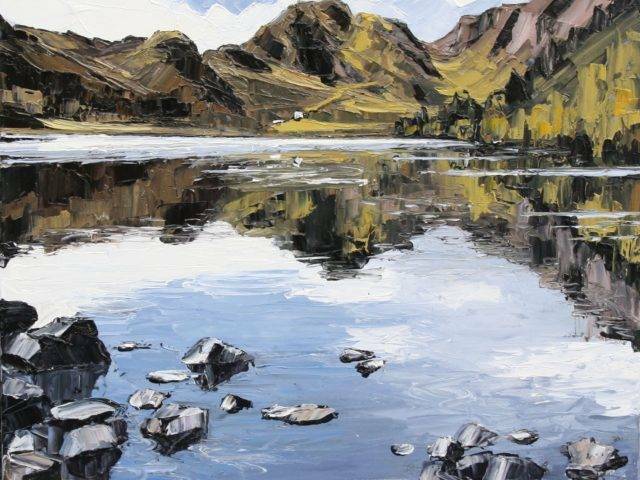 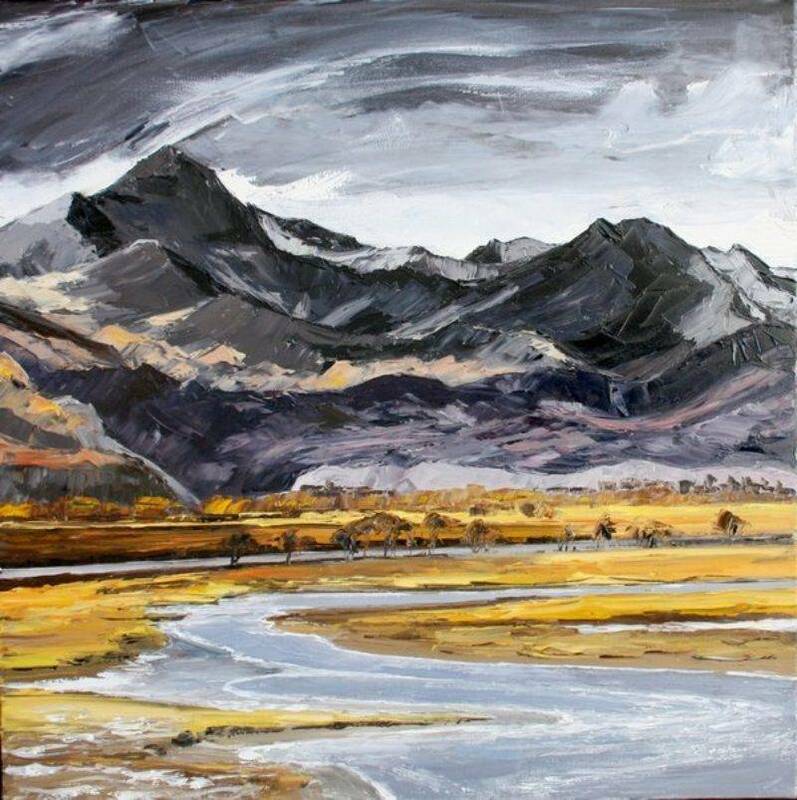 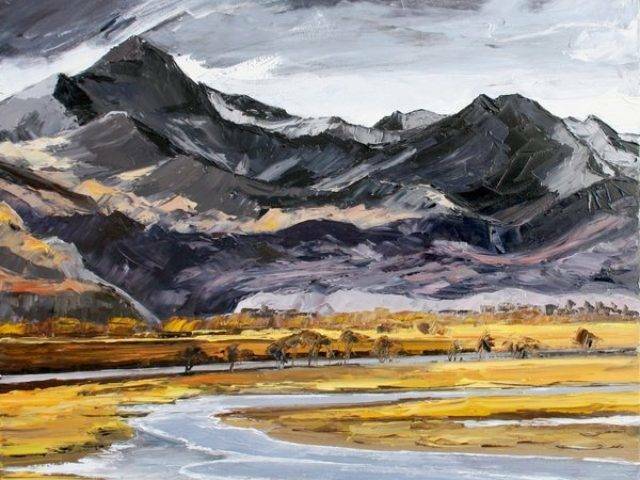 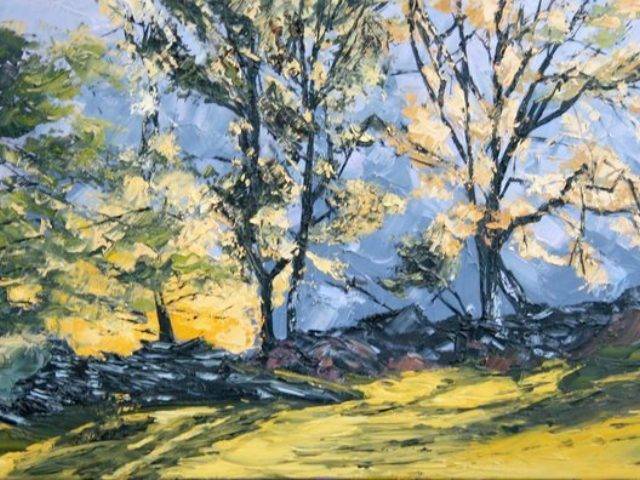 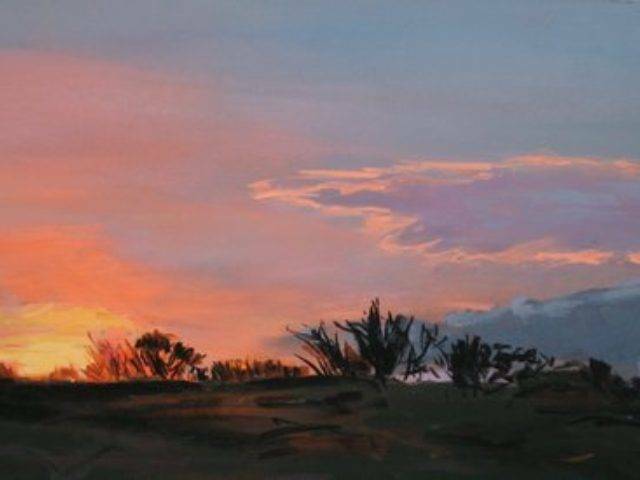 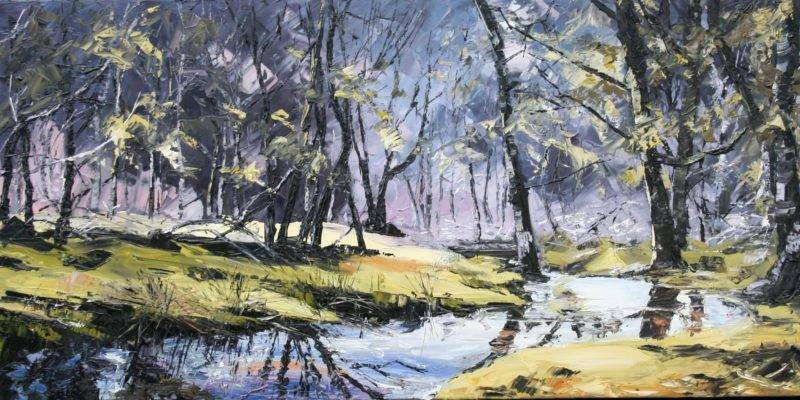 “Pastels allow me to work quickly and the bright colours are useful to emphasise the variable effects of the light and atmosphere of my Snowdonia landscapes. 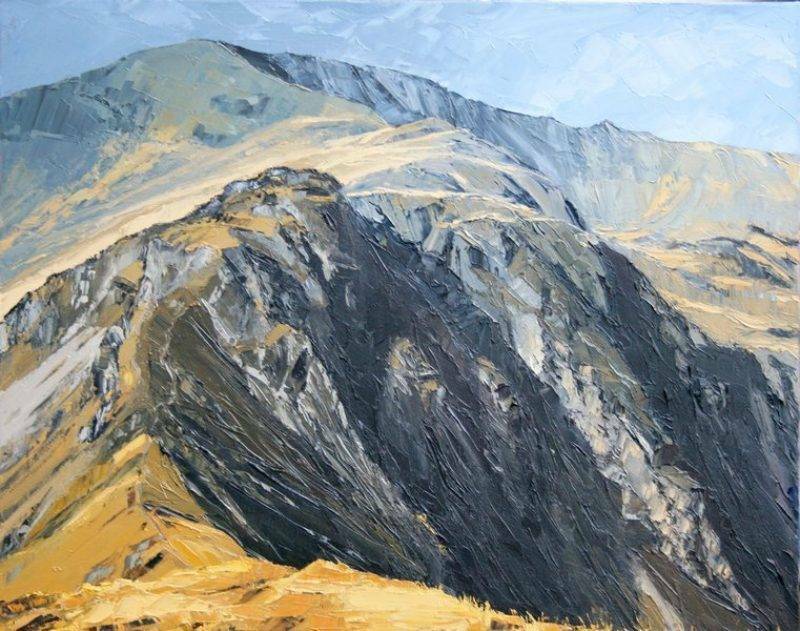 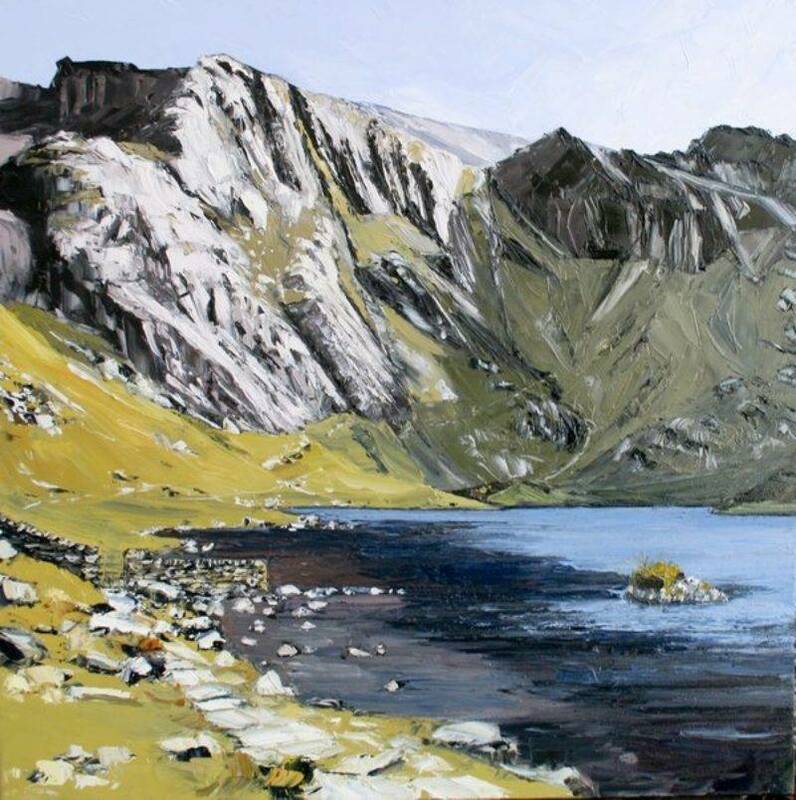 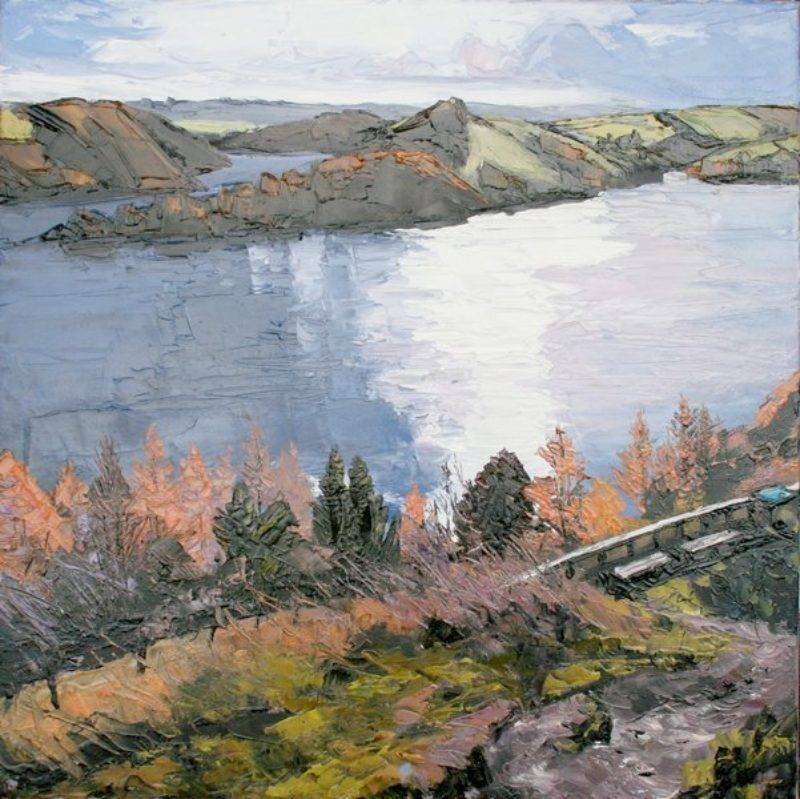 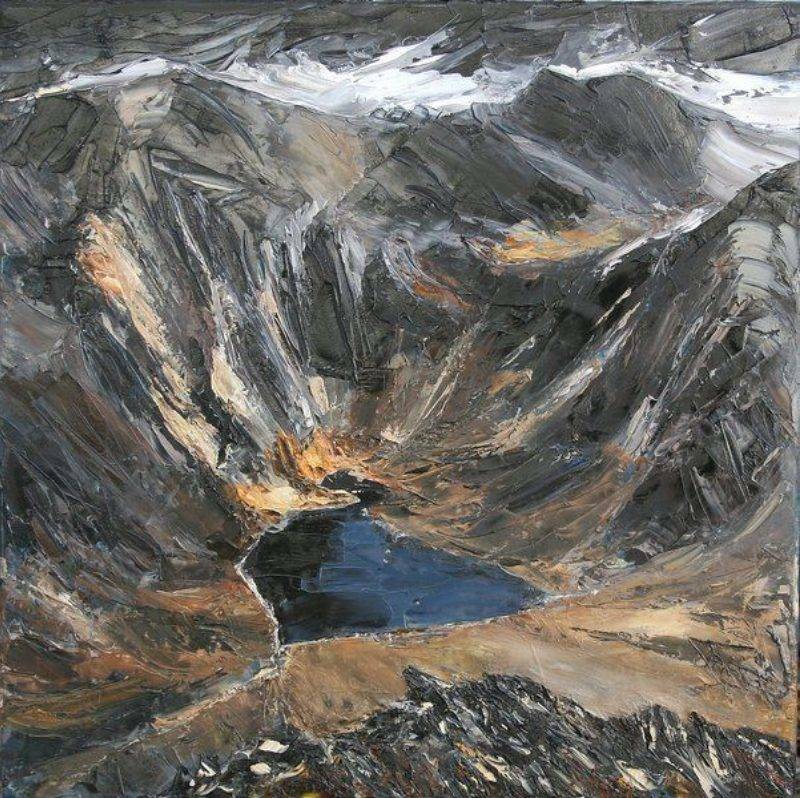 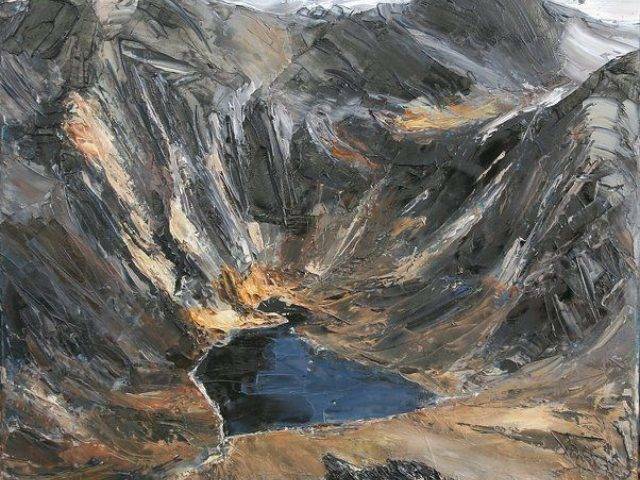 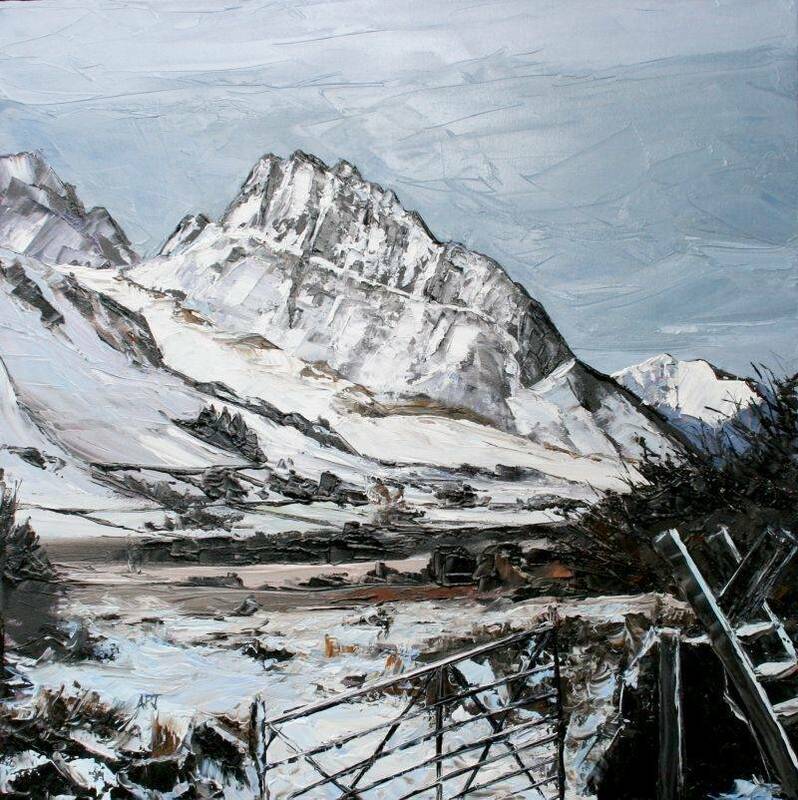 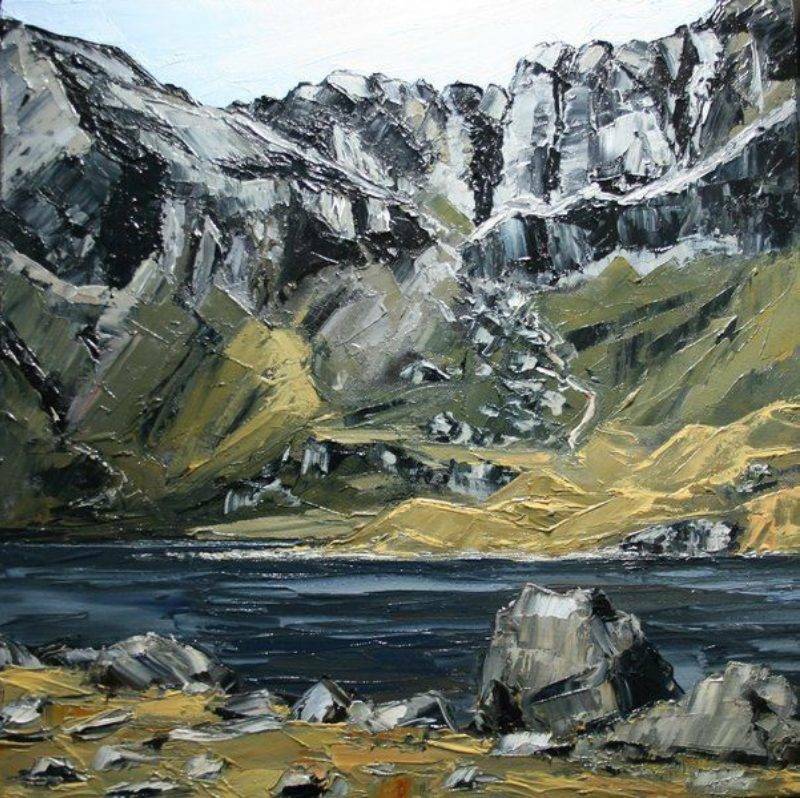 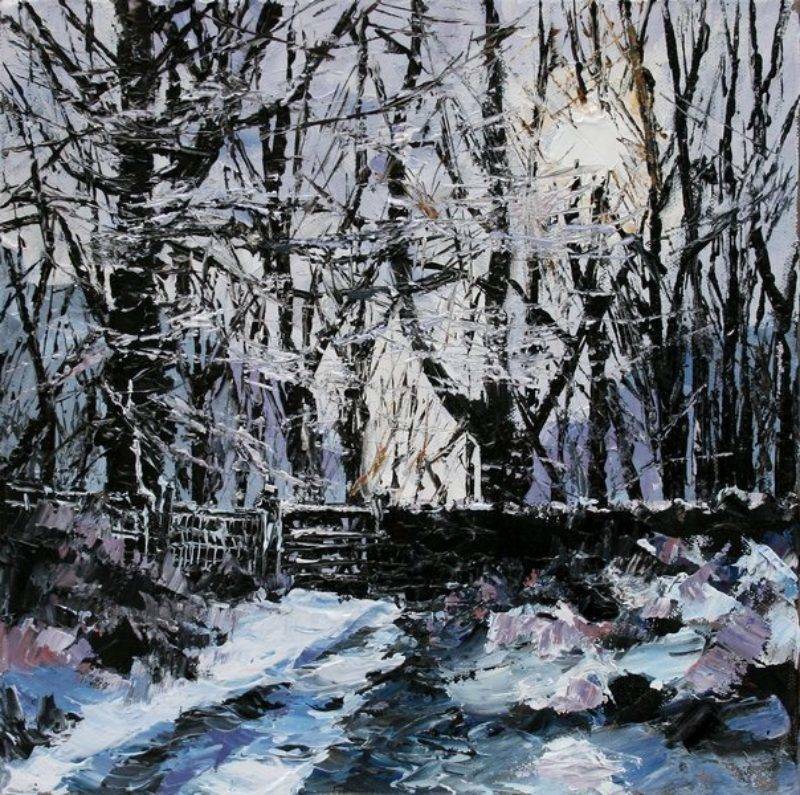 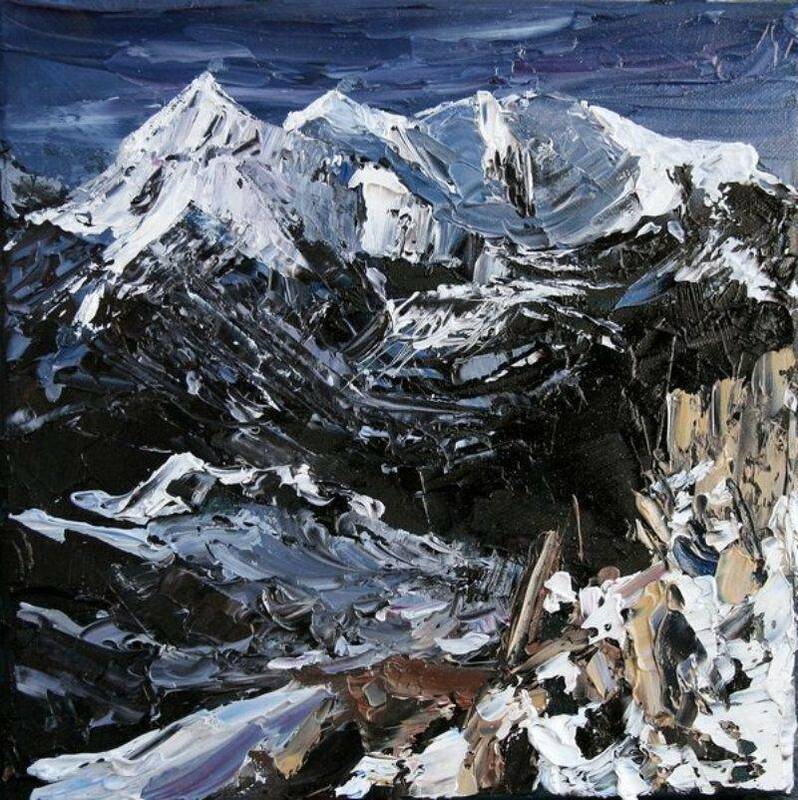 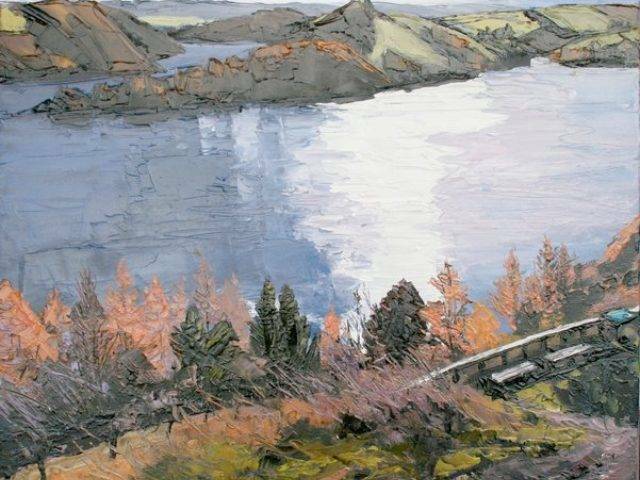 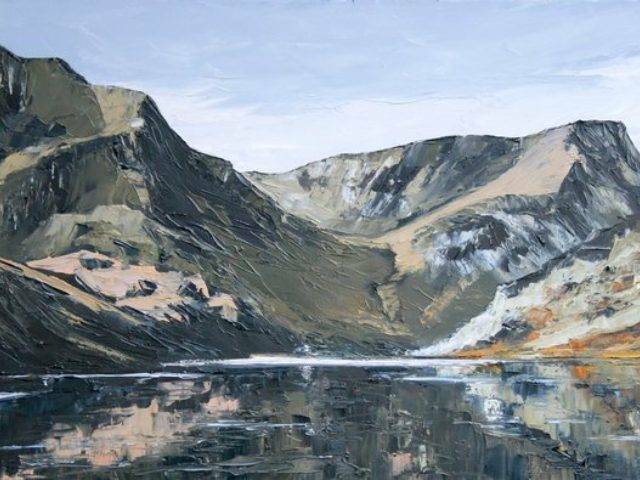 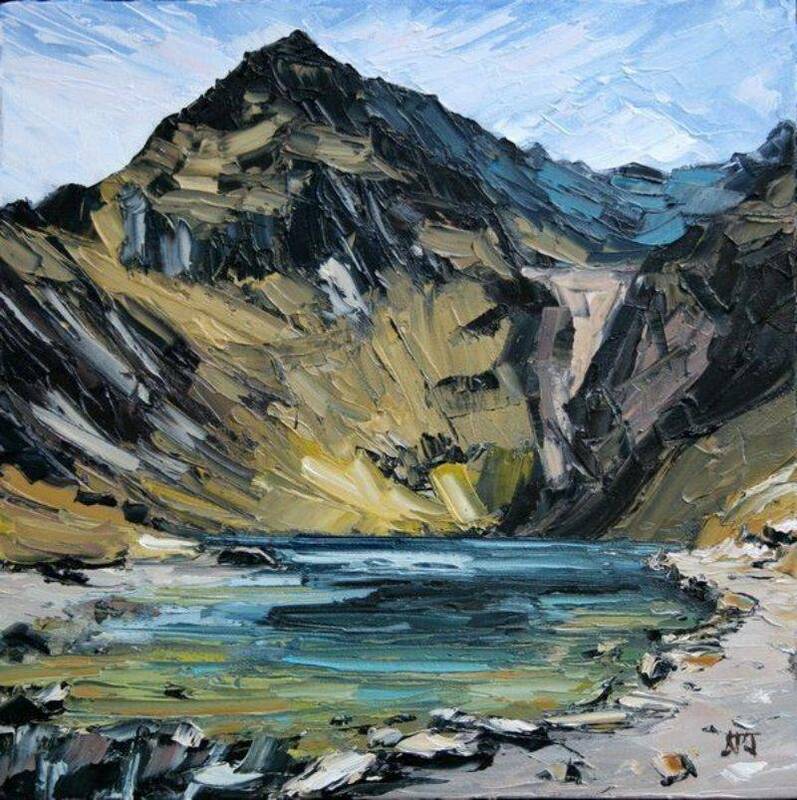 Since 2003 Aled has exhibited widely throughout Wales with solo exhibitions at the Albany Gallery, Cardiff; Galeri Betws y Coed; the Attic Gallery, Swansea; Tegfryn Gallery, Menai Bridge; Oriel y Bont, Aberystwyth; Oriel Ynys Môn, and here at Plas Glyn-y-Weddw. 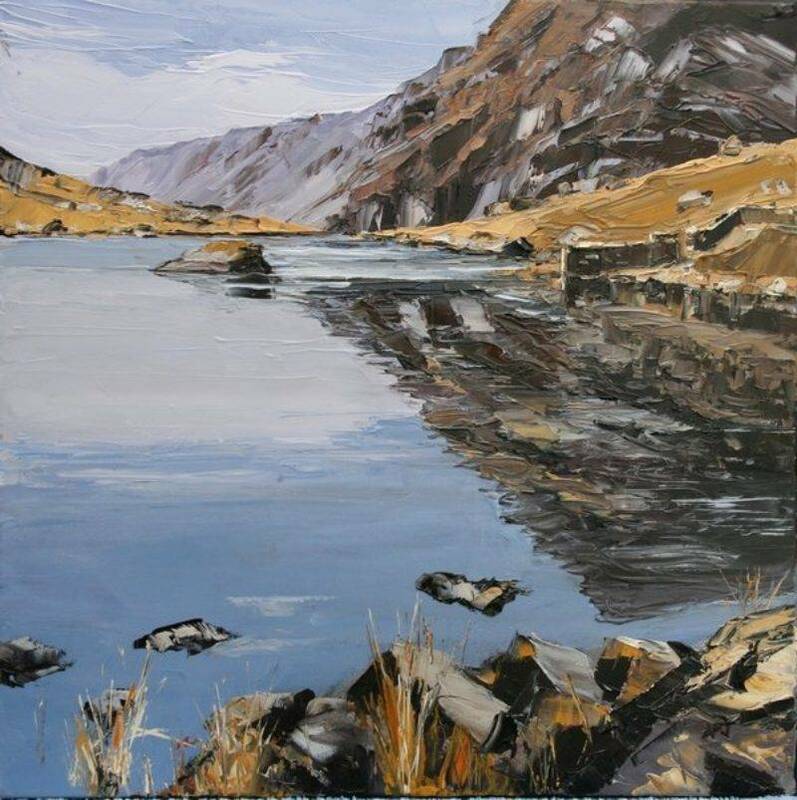 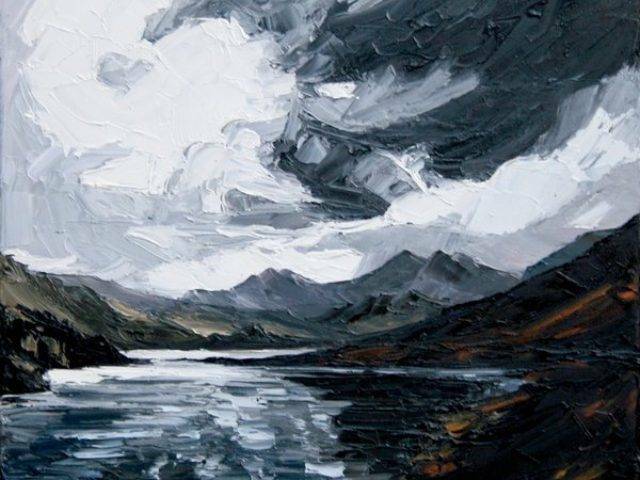 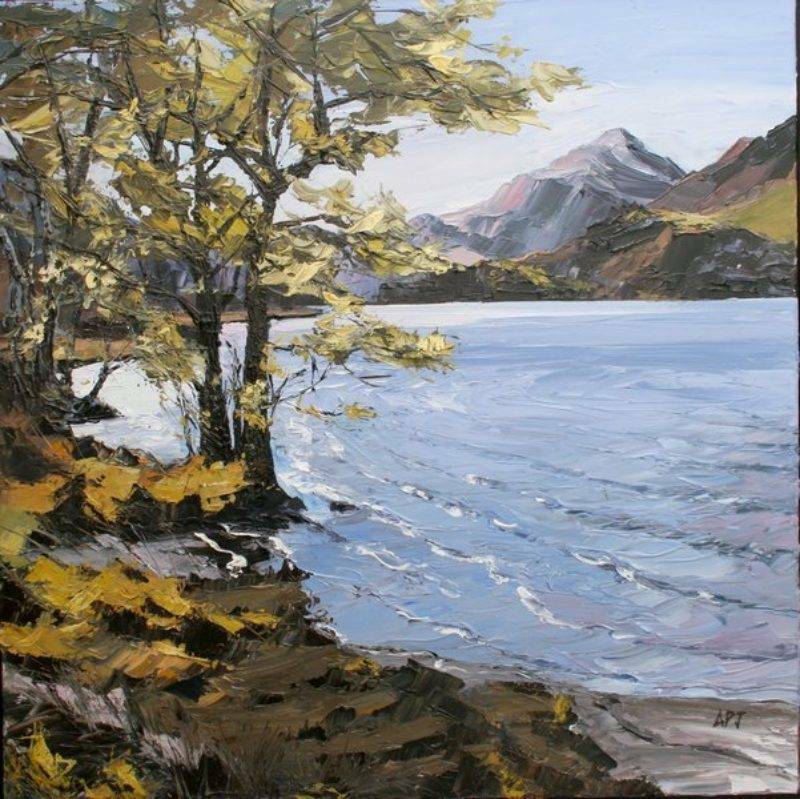 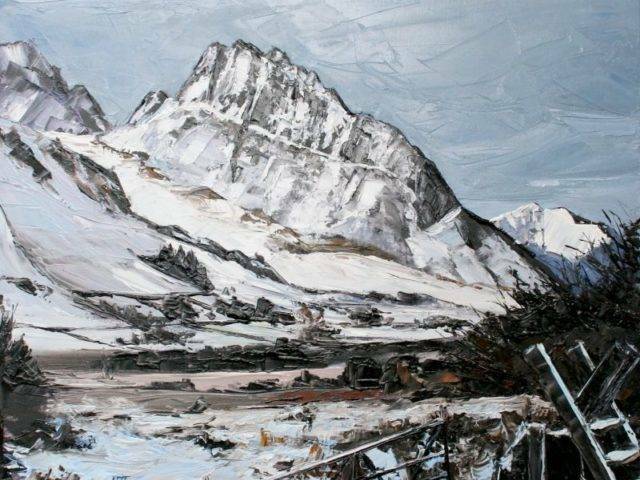 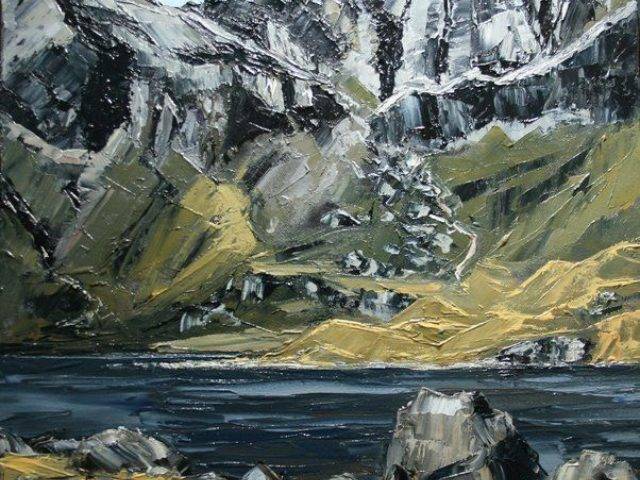 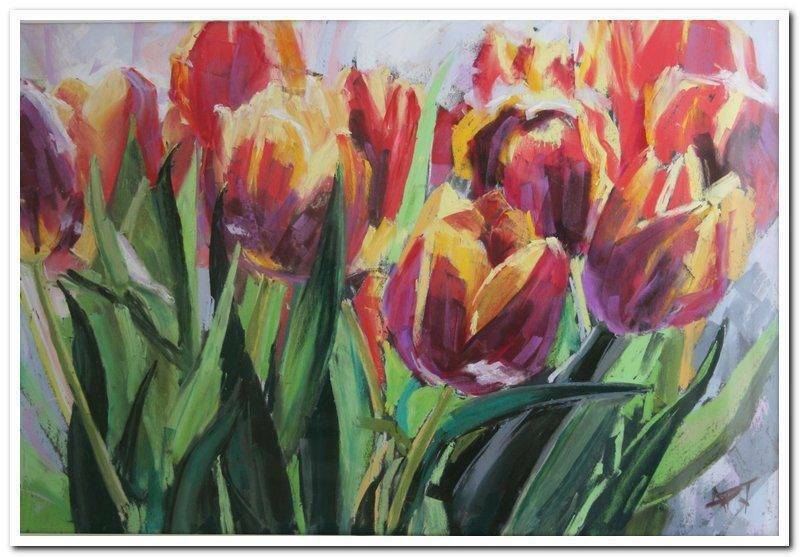 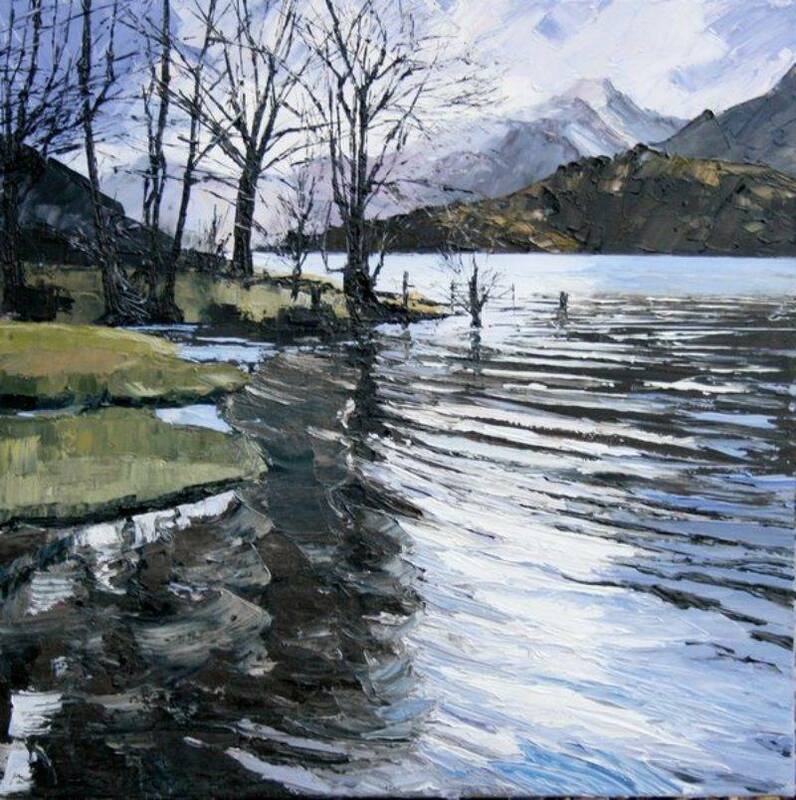 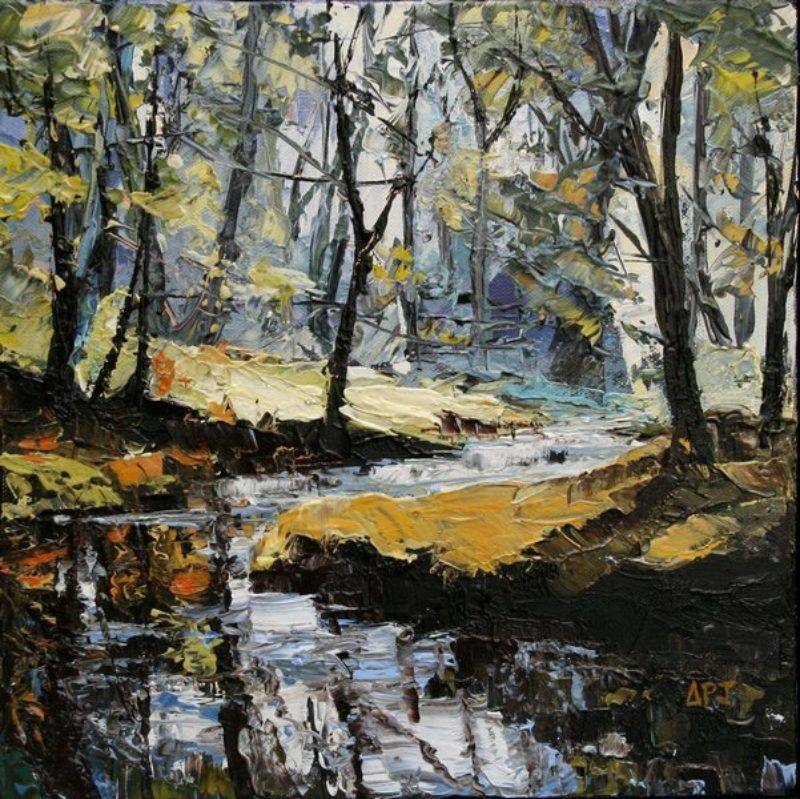 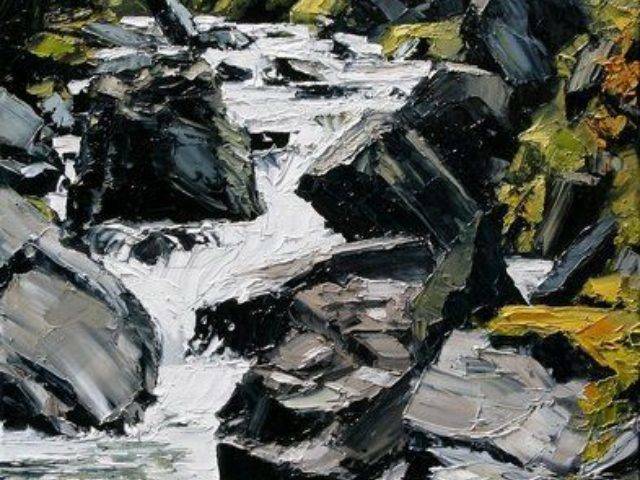 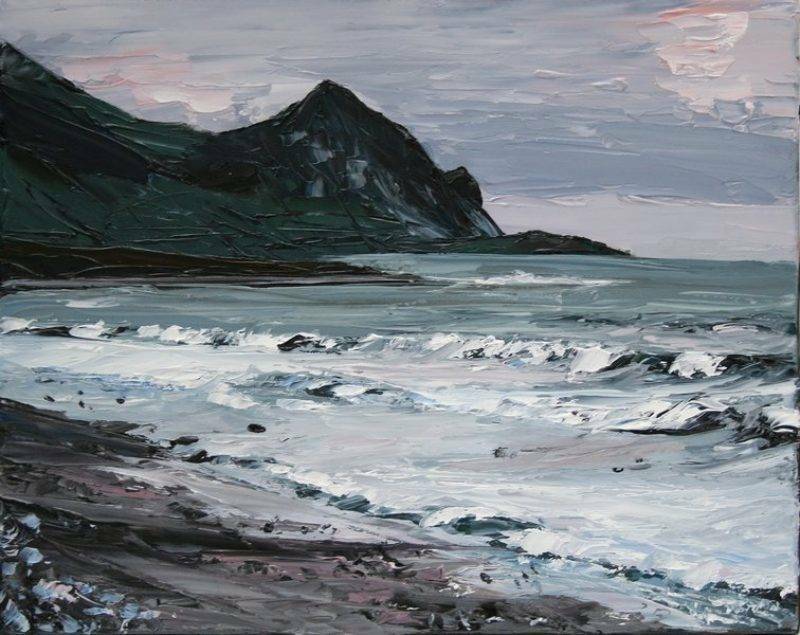 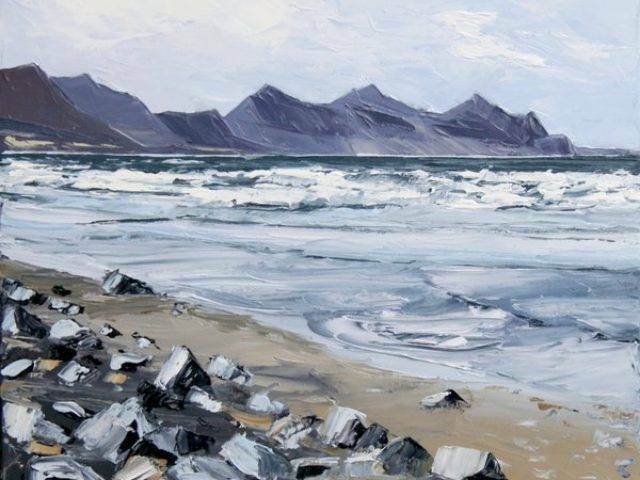 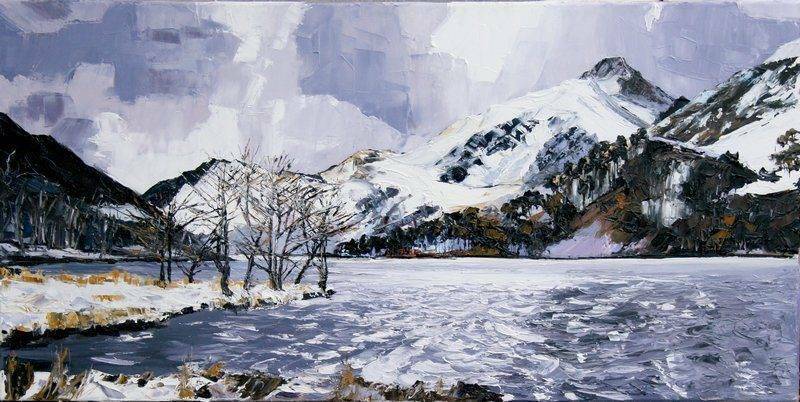 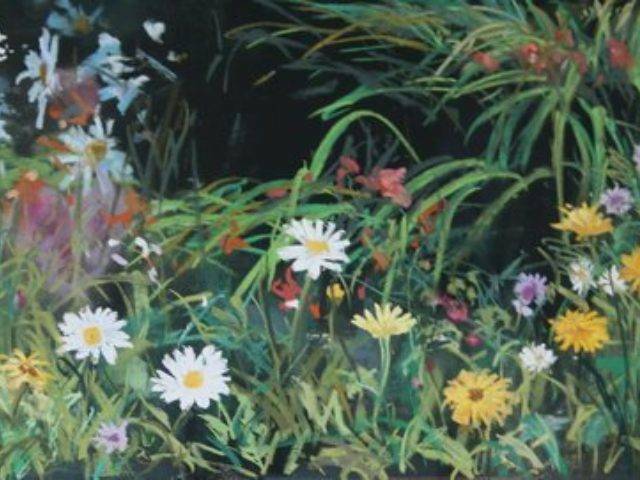 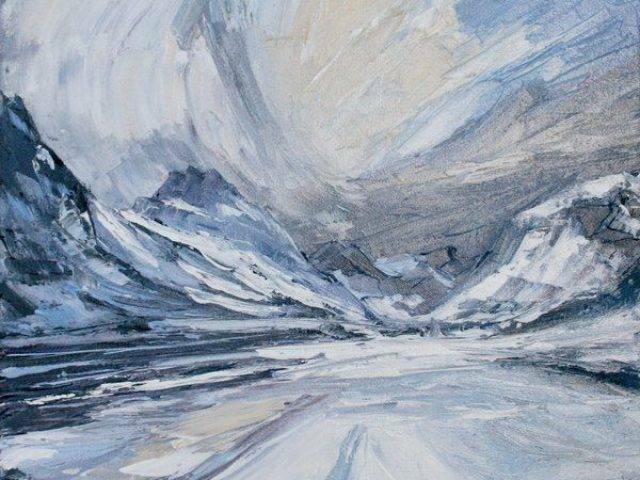 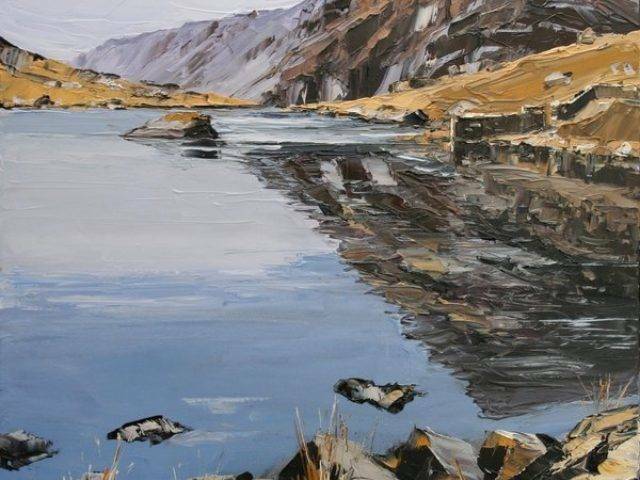 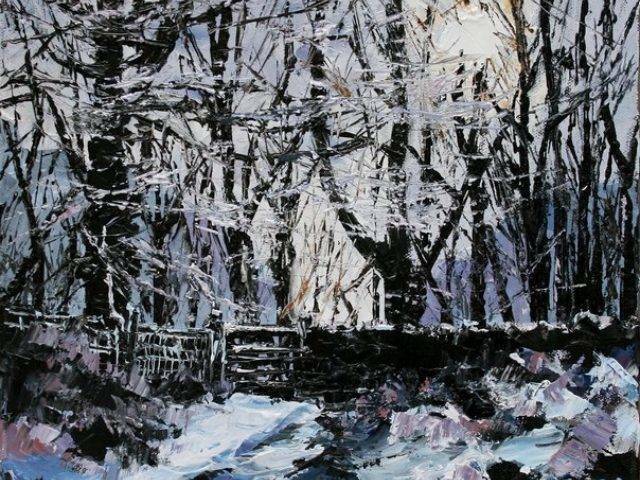 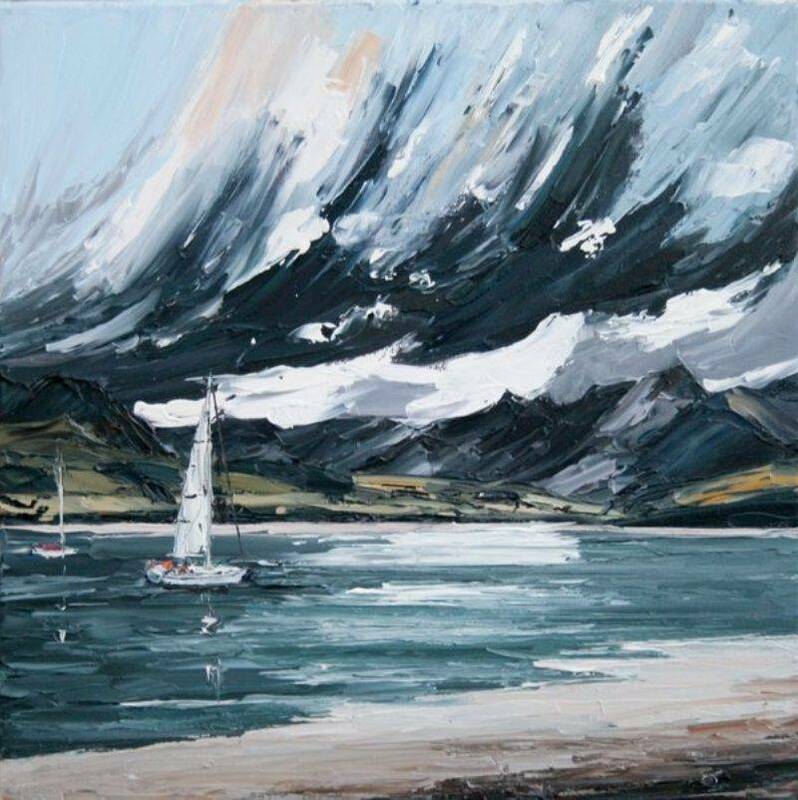 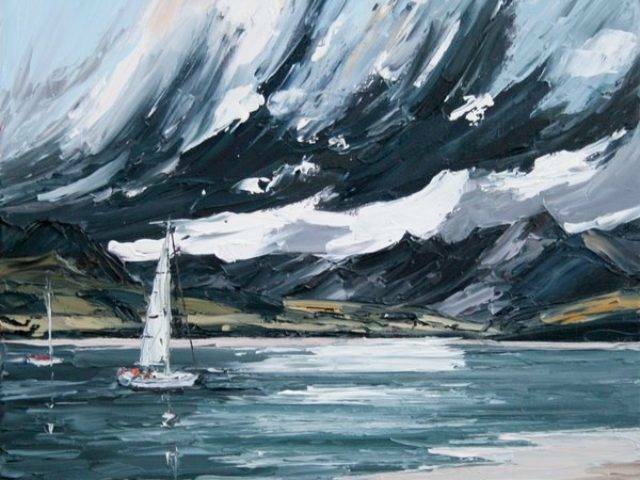 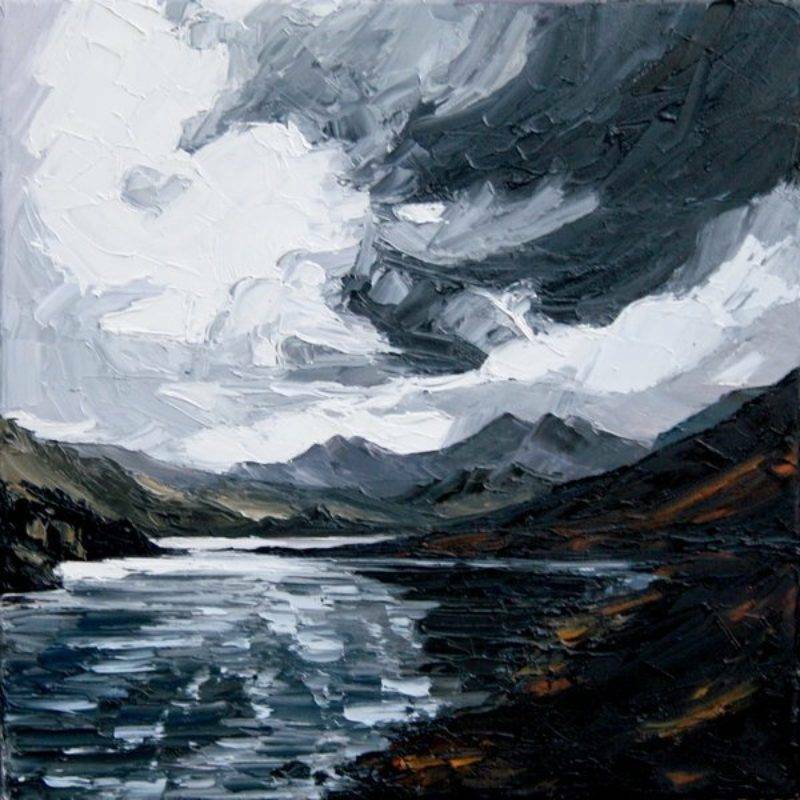 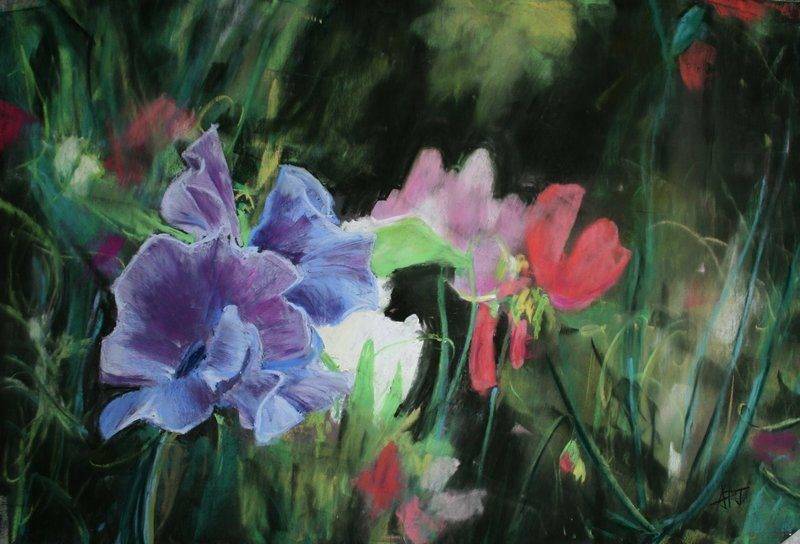 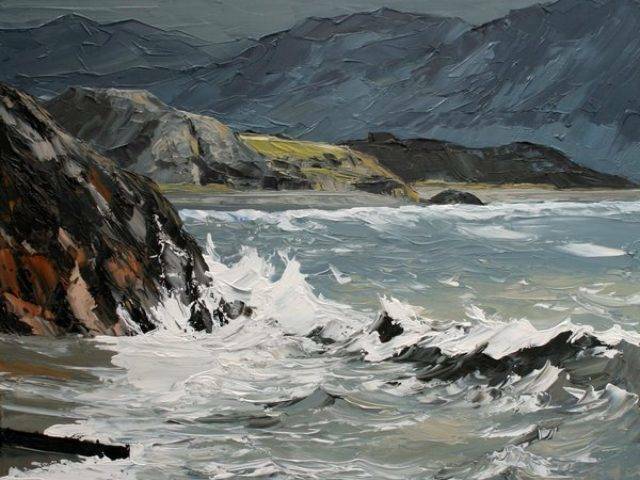 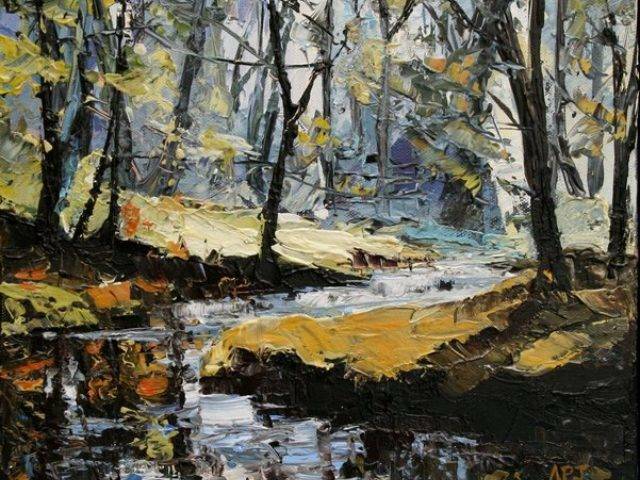 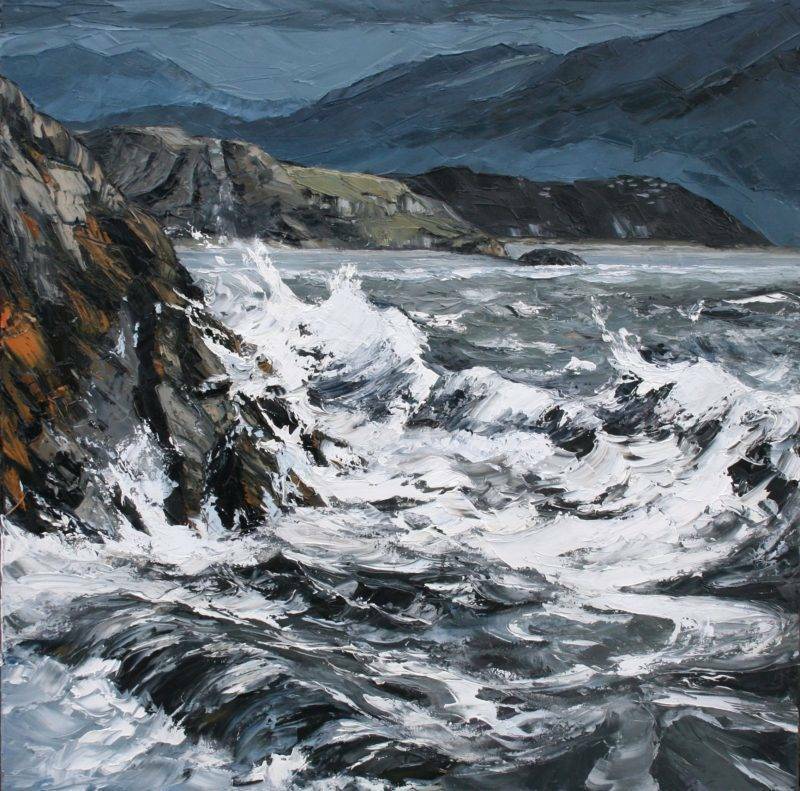 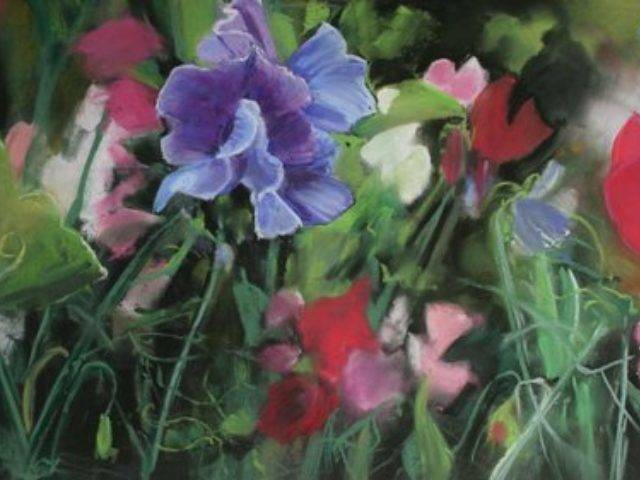 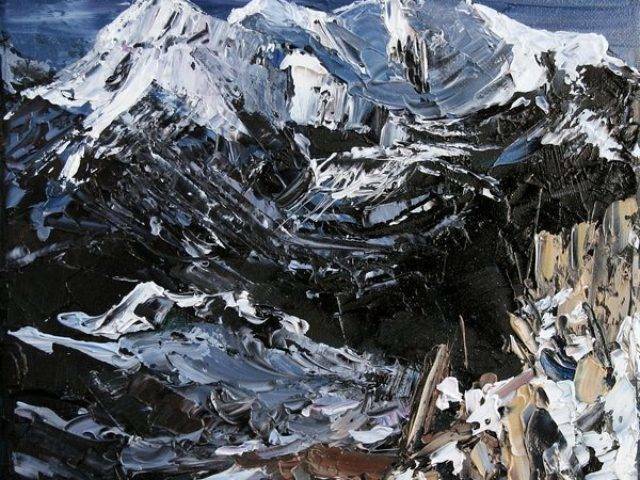 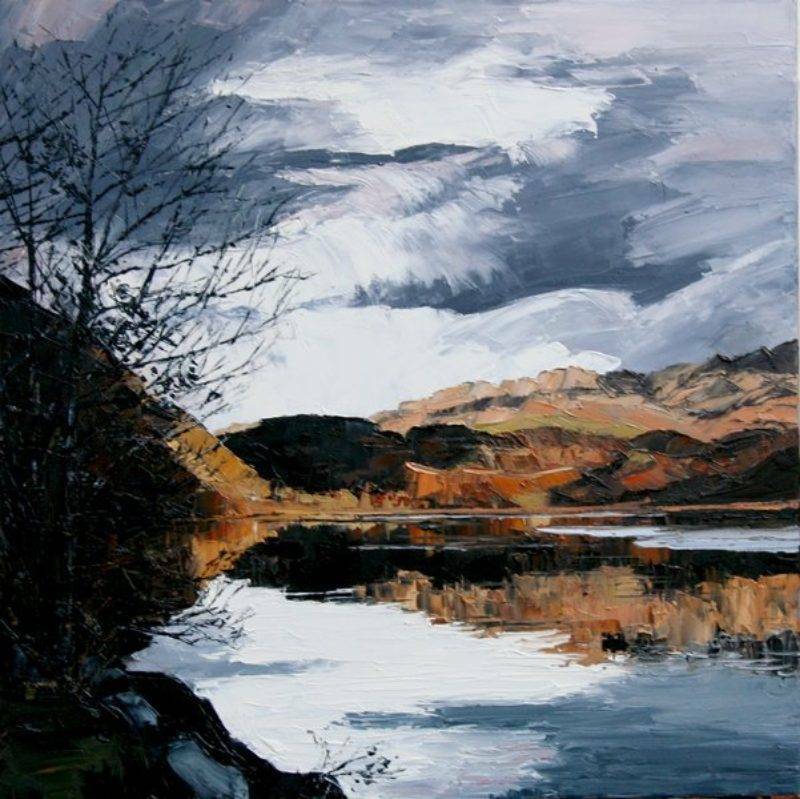 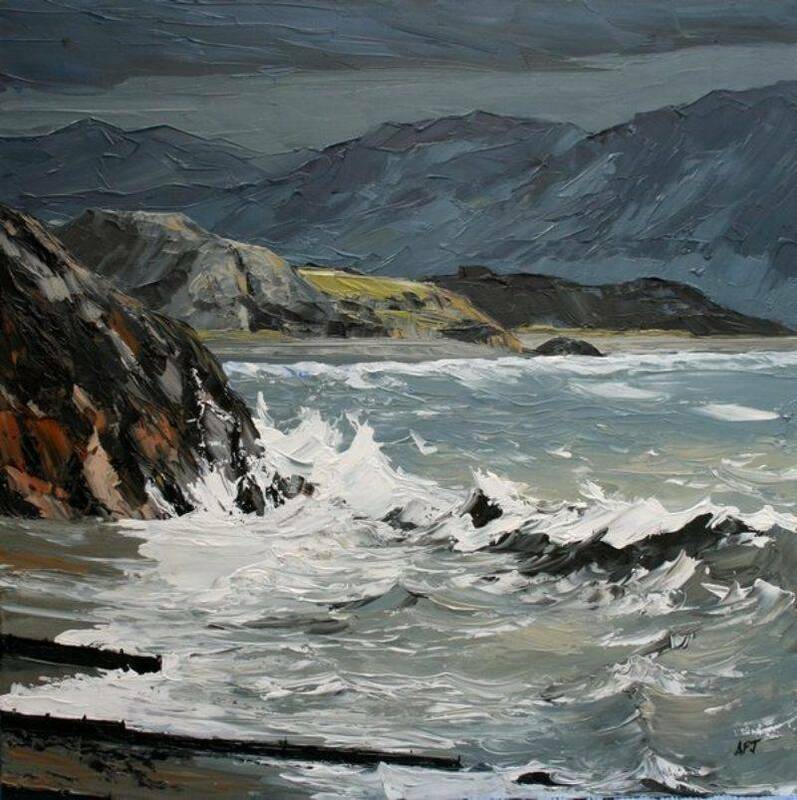 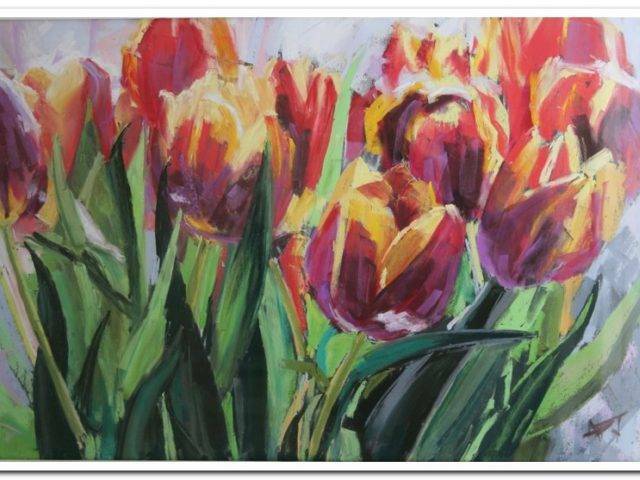 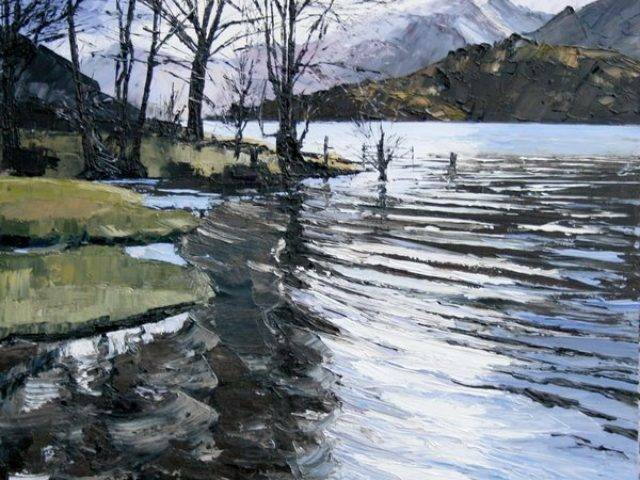 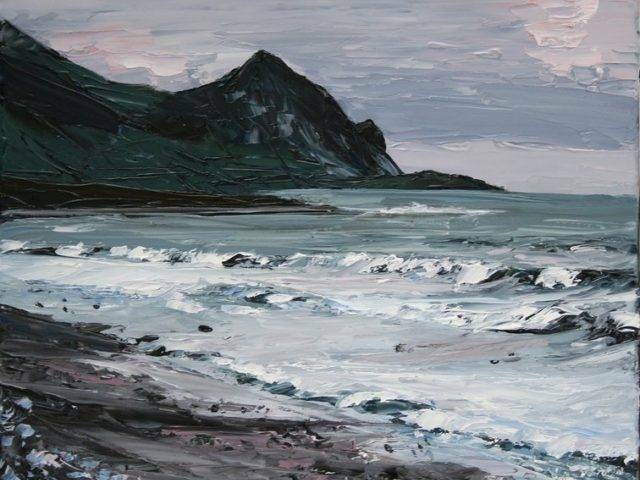 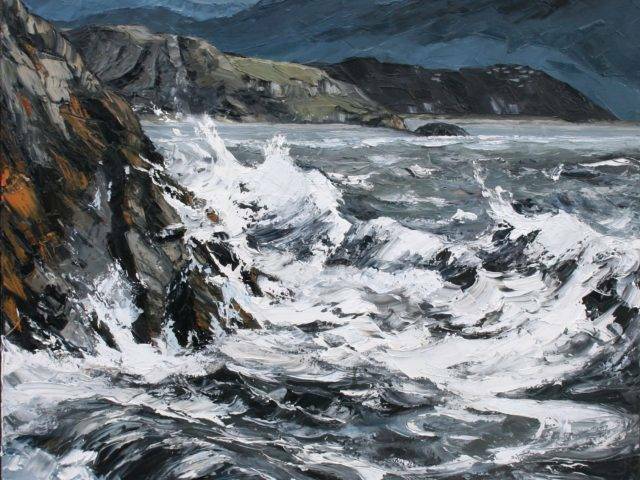 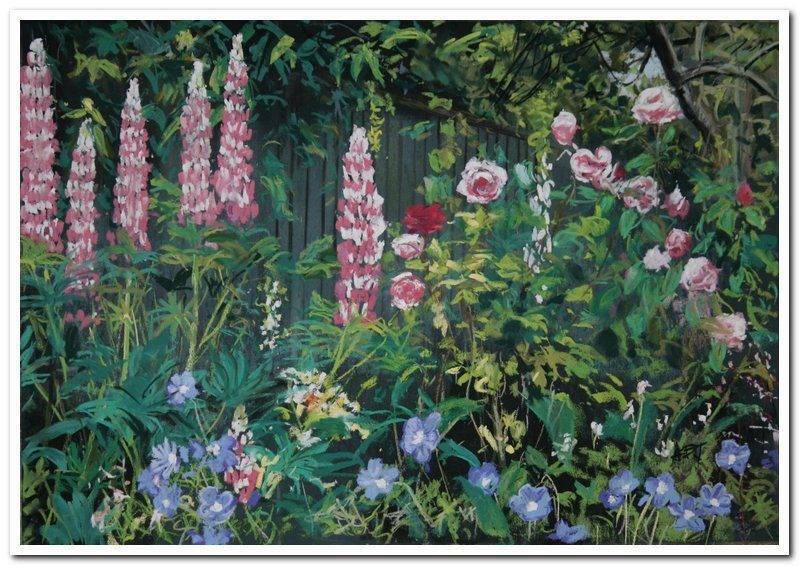 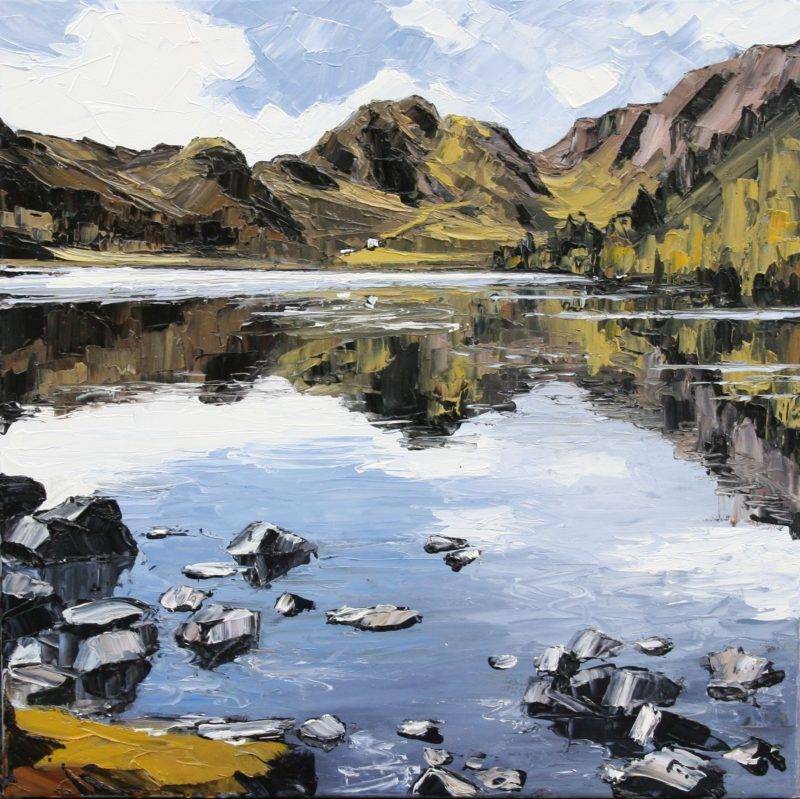 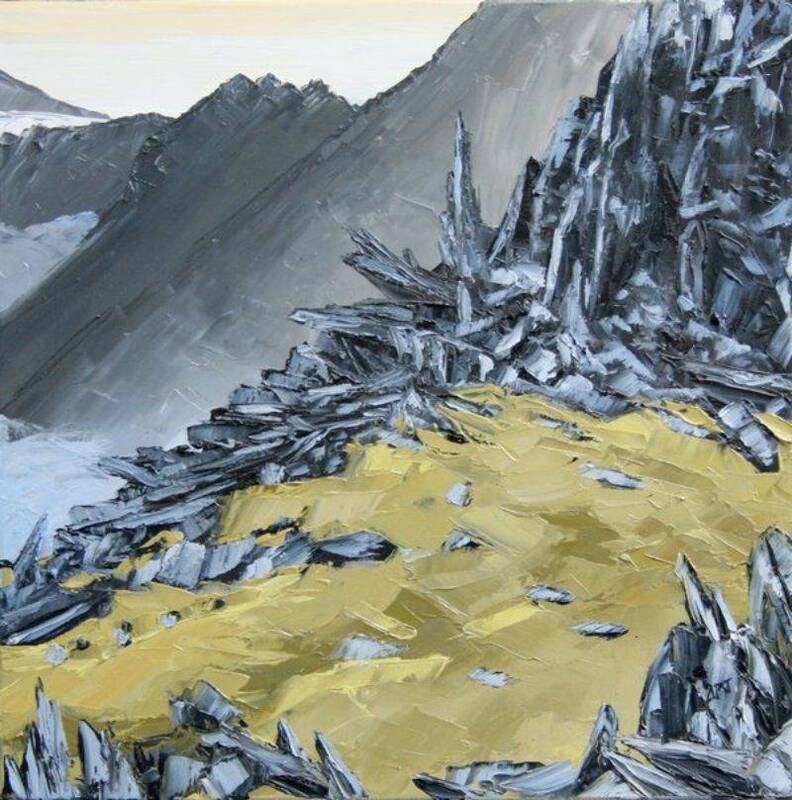 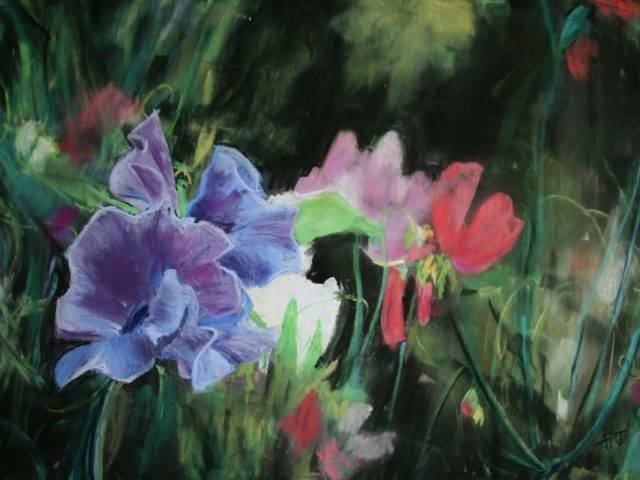 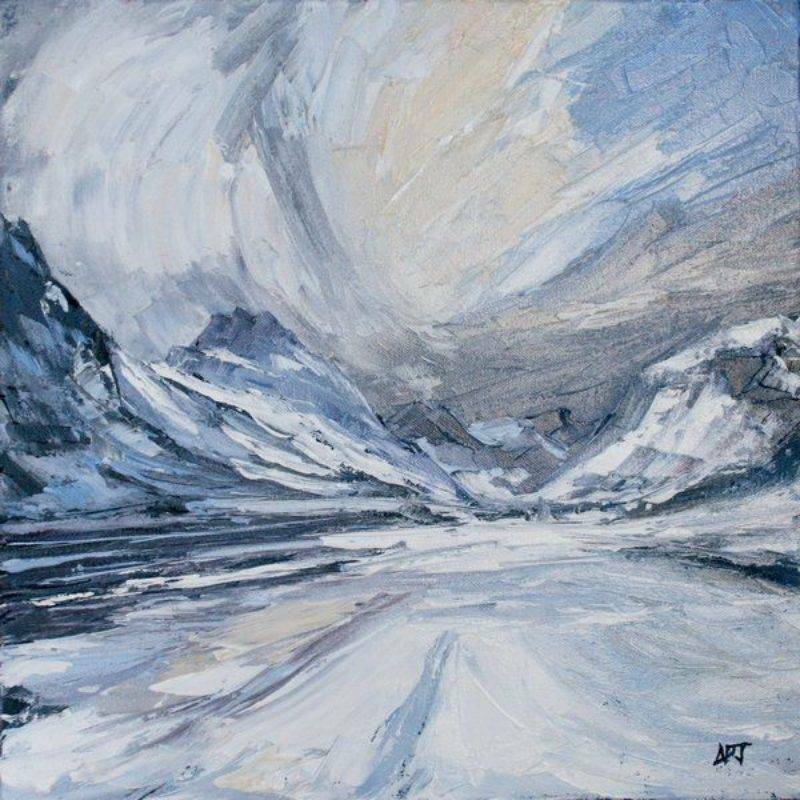 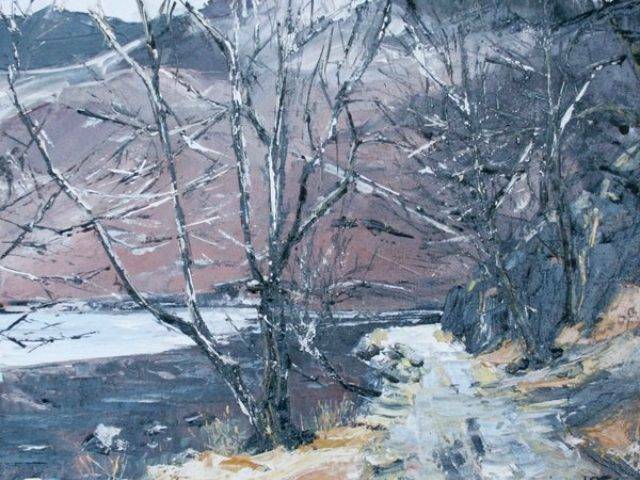 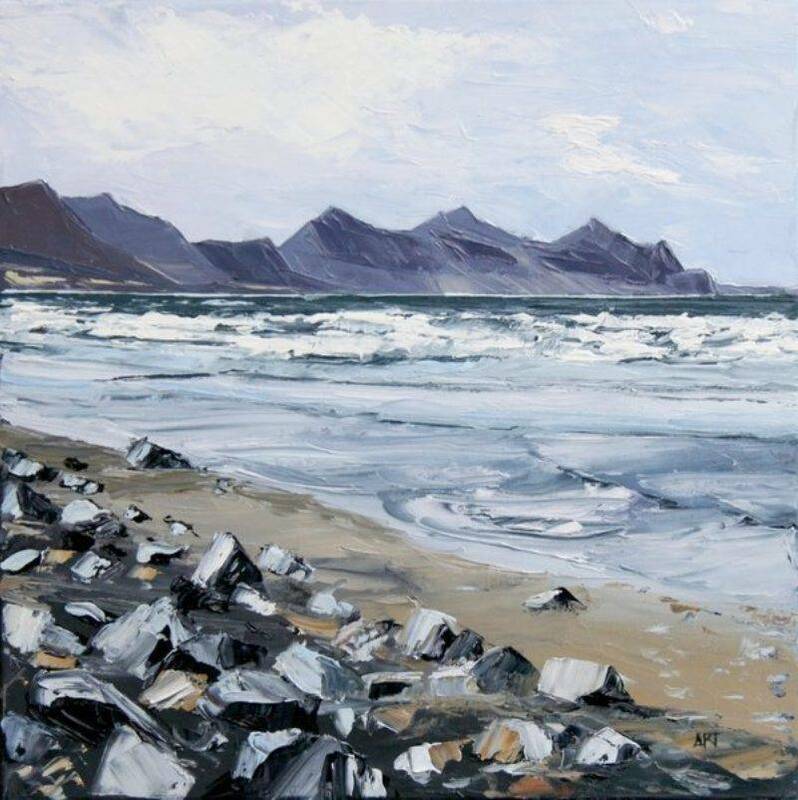 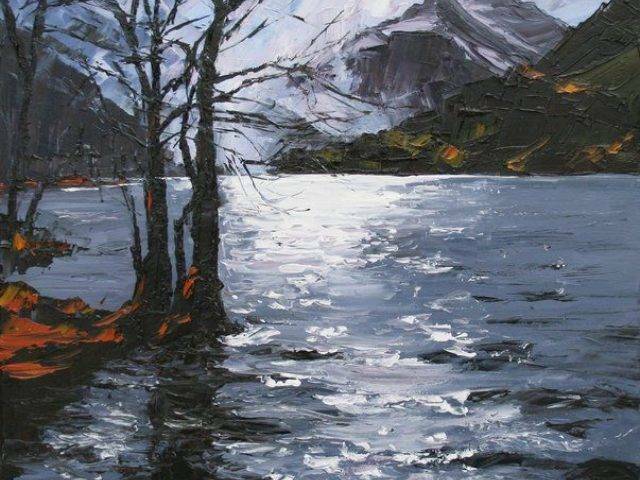 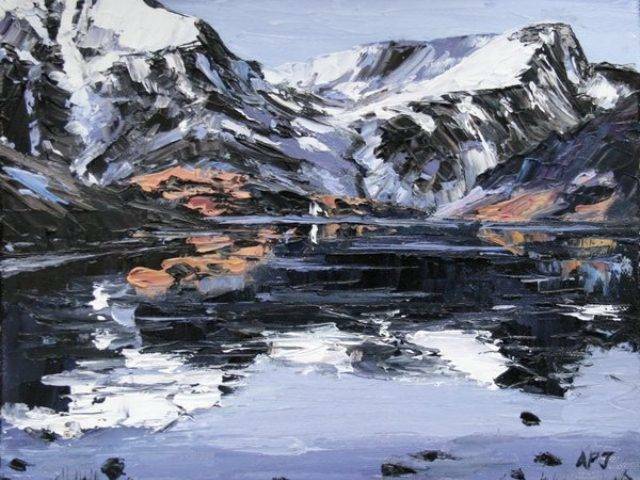 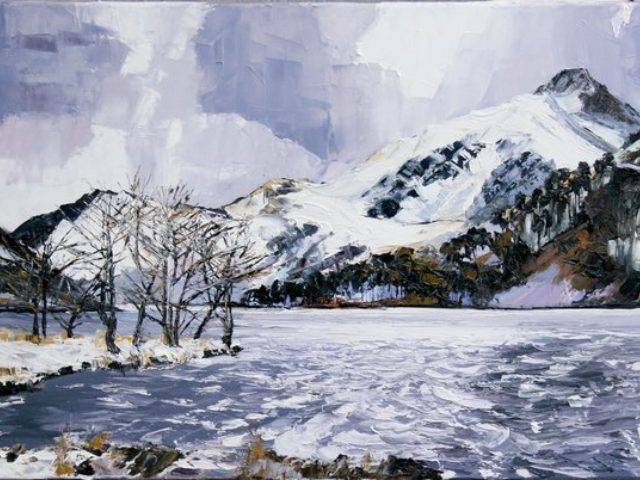 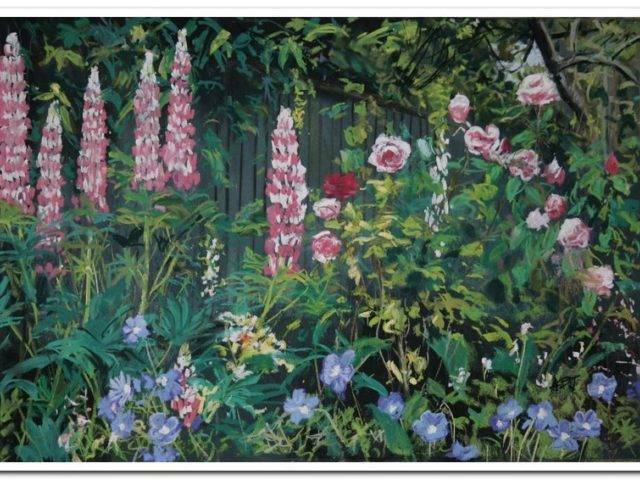 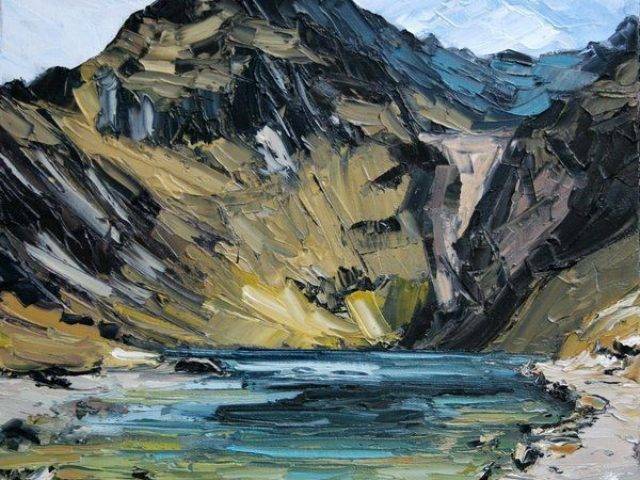 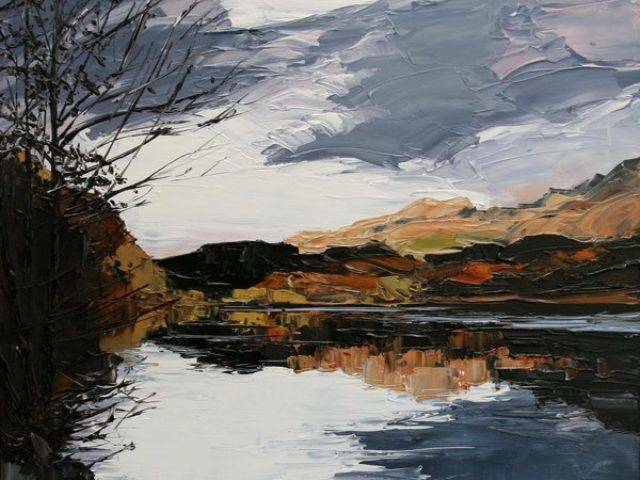 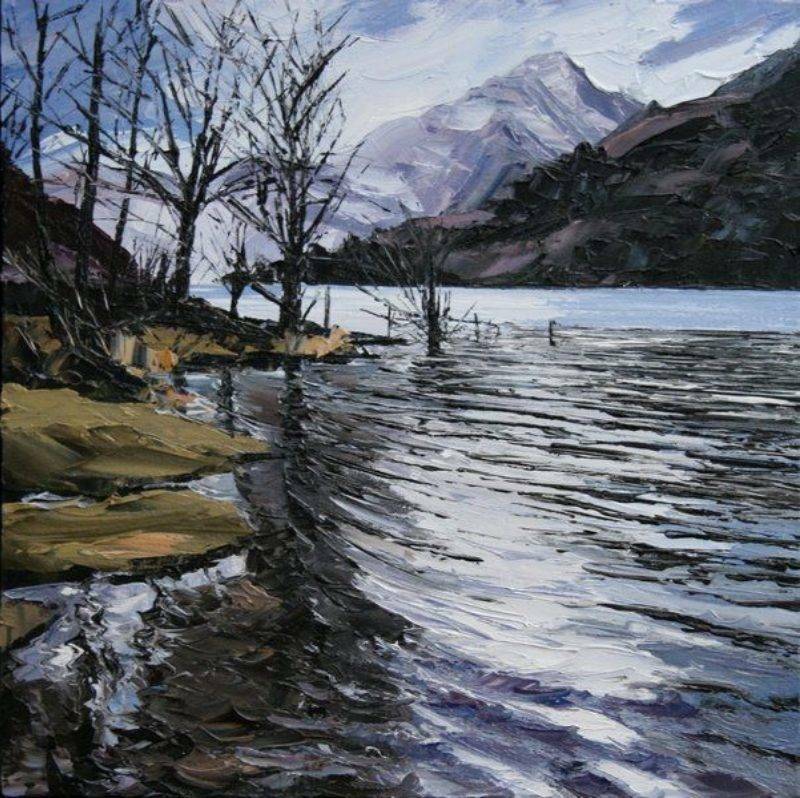 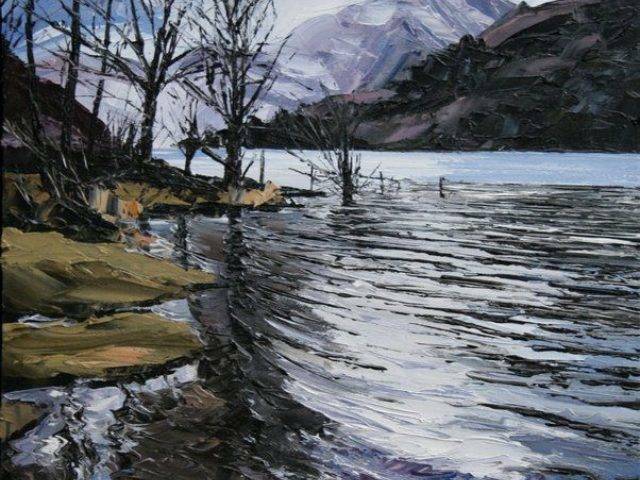 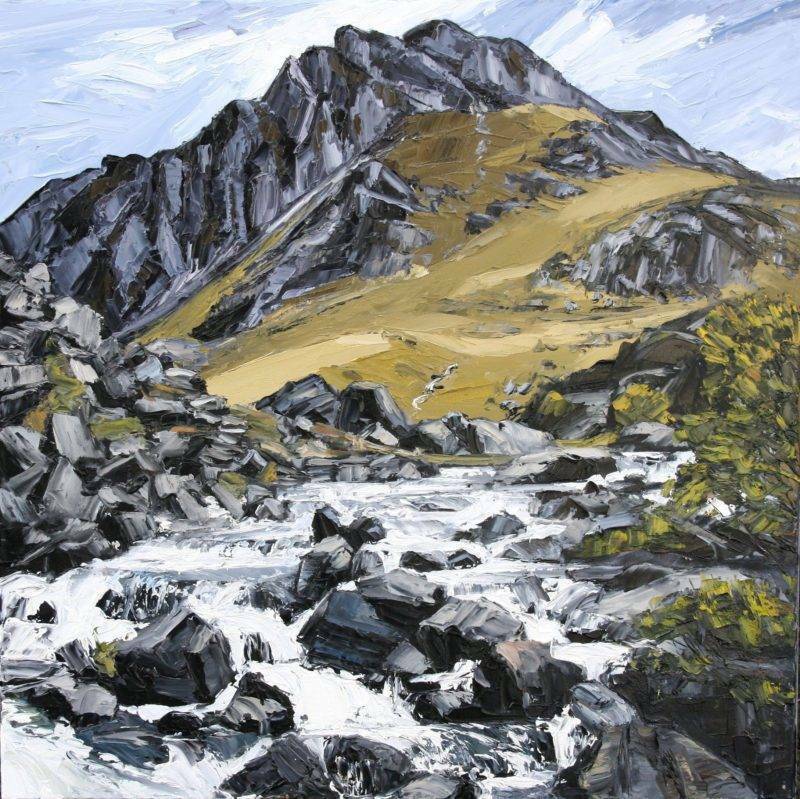 He has exhibited at group shows including the St. David's Hall Welsh Artist of the Year and the Royal Cambrian Society Conwy; The Royal Society of Marine Artists, Mall Galleries and the Battersea Art Fair, both in London.